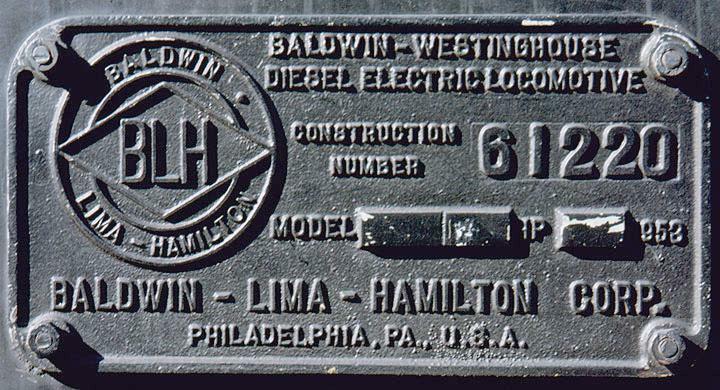 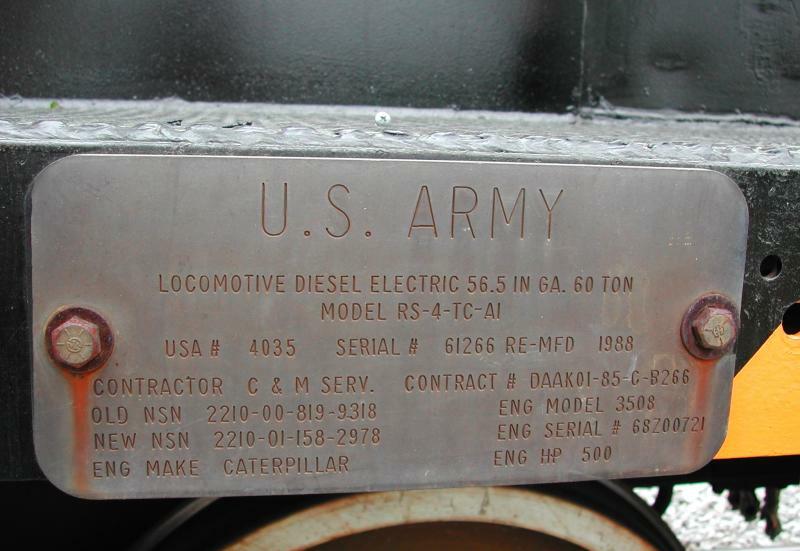 Built at Eddystone from July 1953 to January 1955. 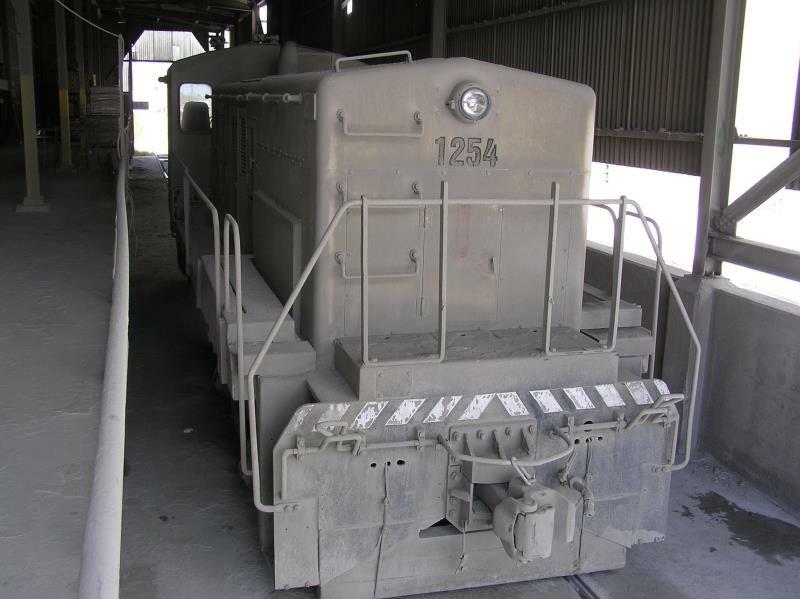 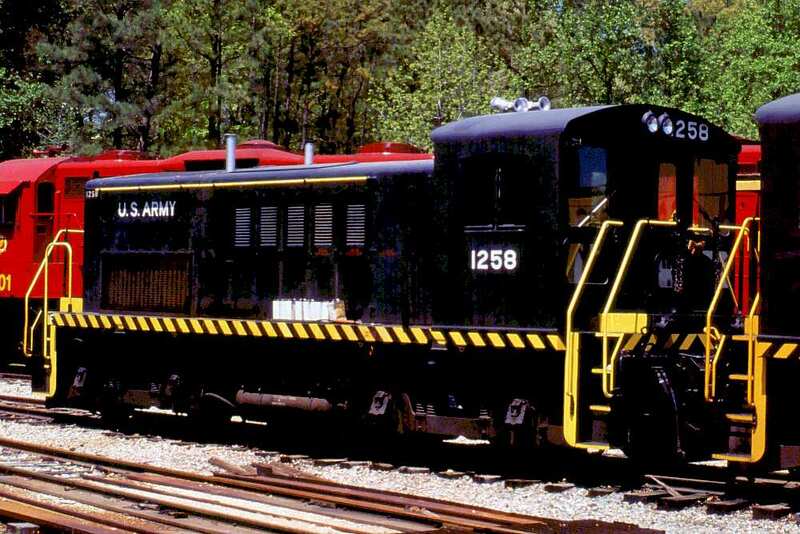 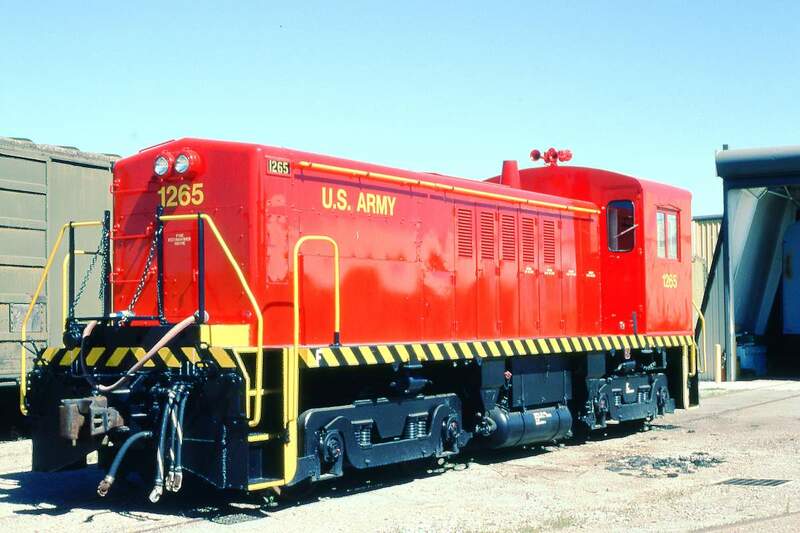 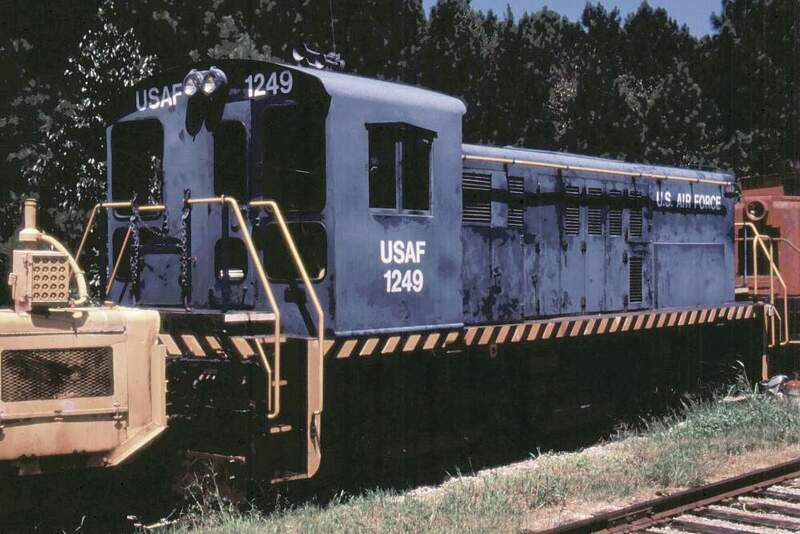 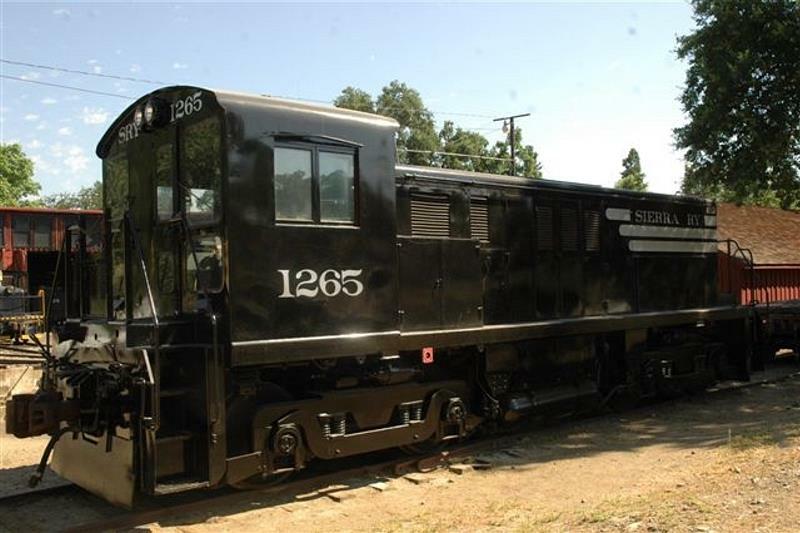 Units 1247-1276 were built for domestic use. 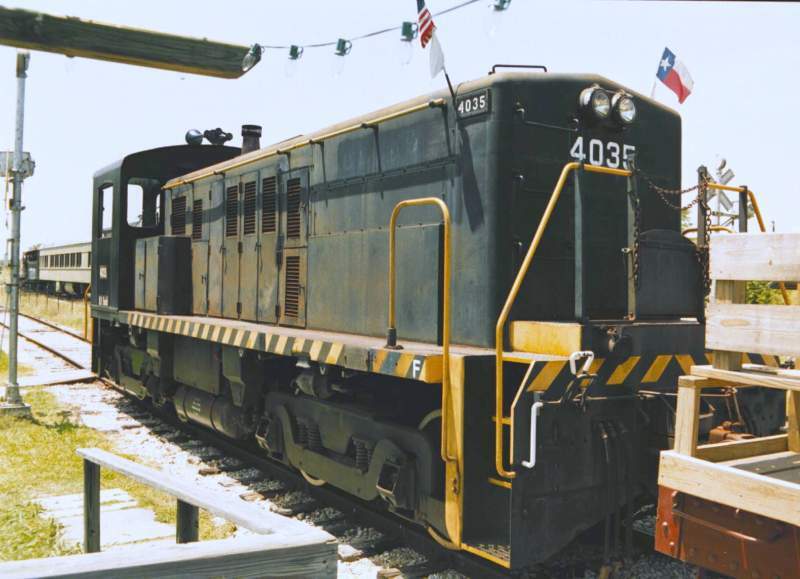 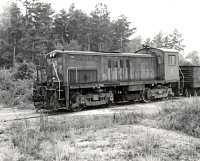 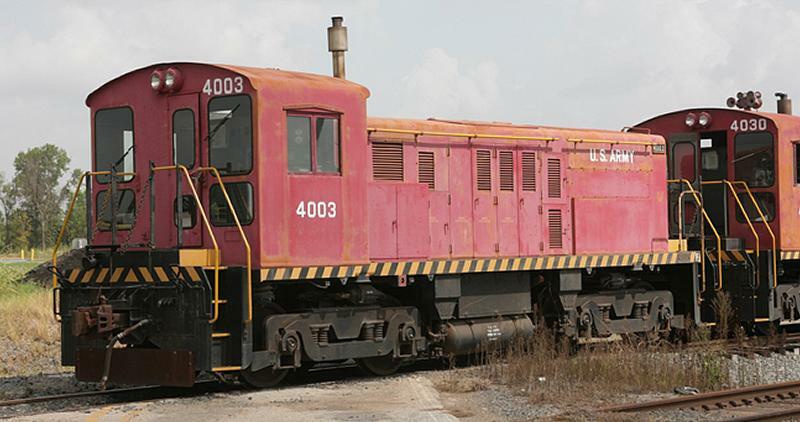 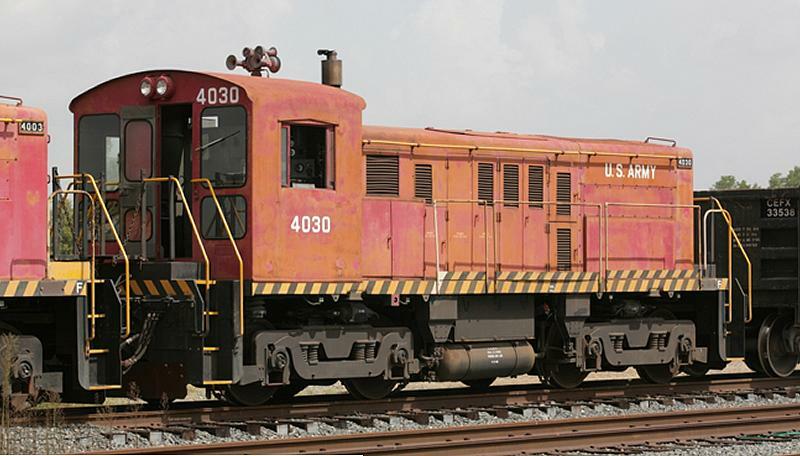 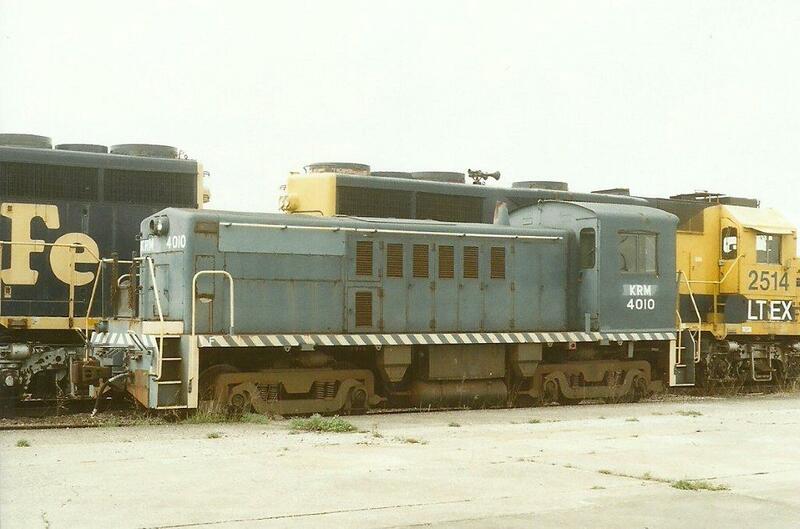 Units 4001-4044 were equipped for foreign use. 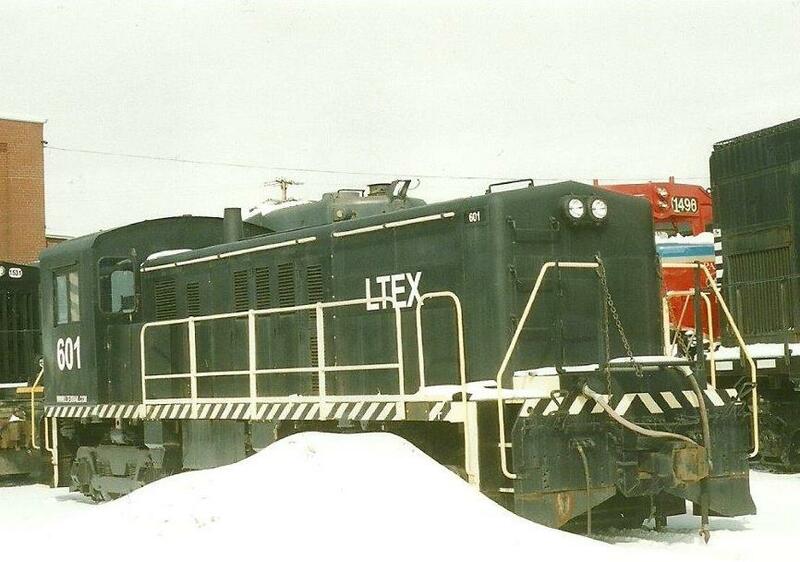 They were equipped heaters and were able to mount foreign couplers. 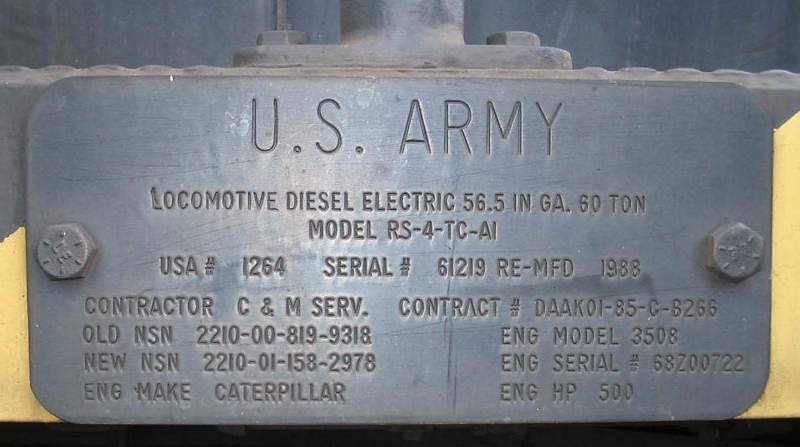 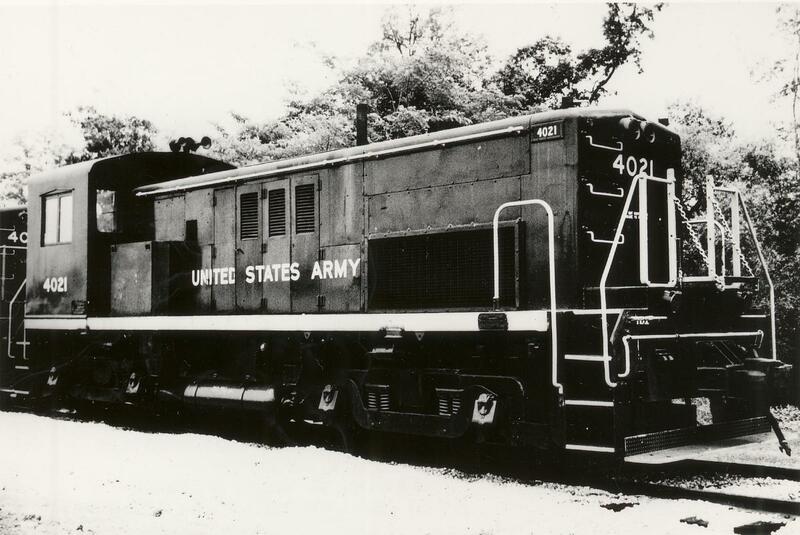 Rebuilt units, offically designated by the militray as RS-4-TC-1A , have a Caterpillar 3508, turbocharged V8, 500hp diesel engine. 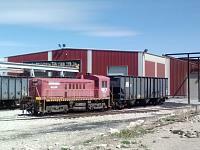 Rebuilding was contracted out to Construction and Mining Services (C & M Serv. 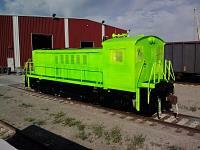 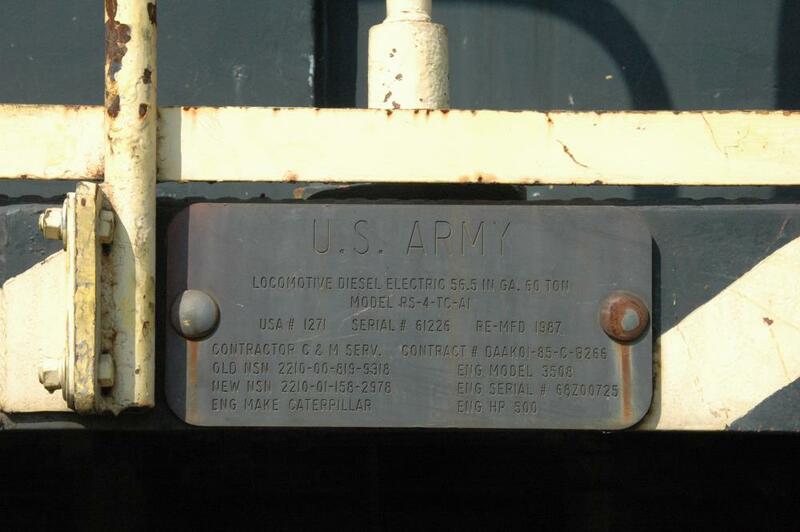 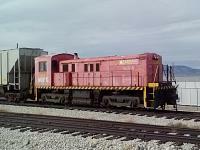 ), East St. Louis IL or done at the Tooele Army Depot (TEAD) shops, UT. 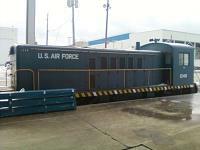 - moved from the Dobbins Air Force Reserve Base, Marietta GA.
to the Kirby Family Farm, Williston FL, 2016 ? 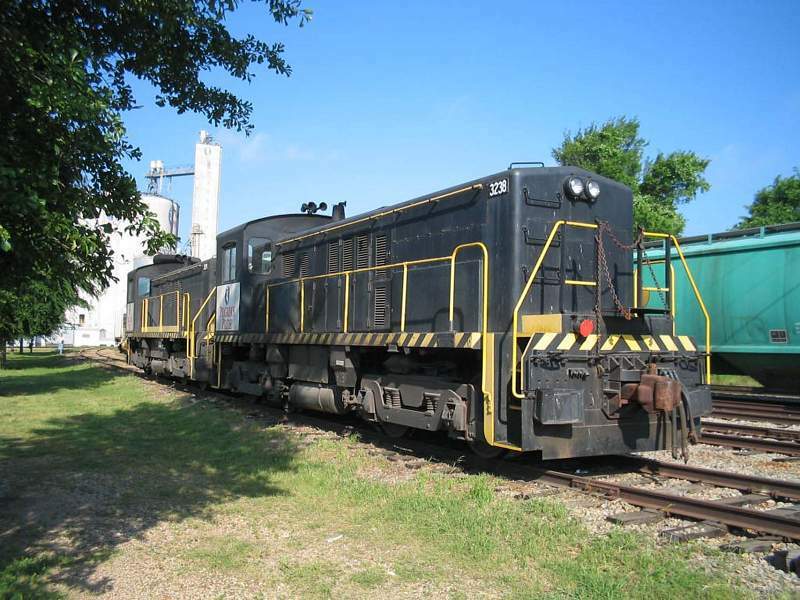 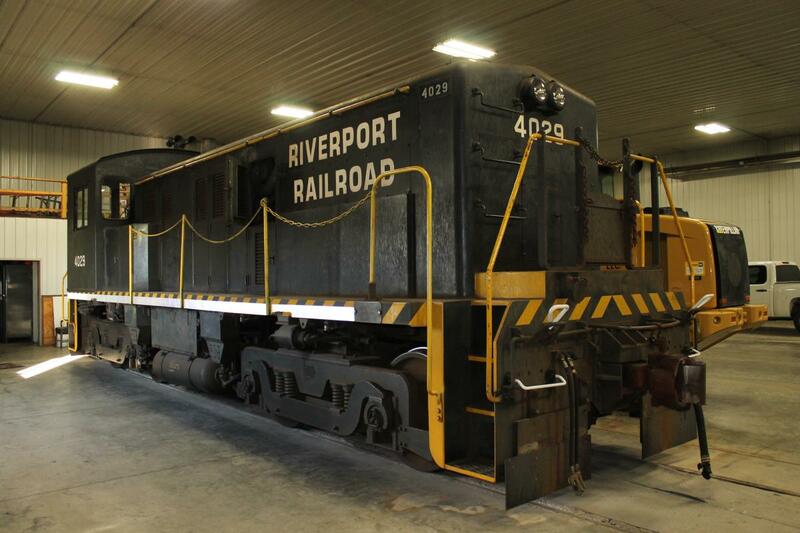 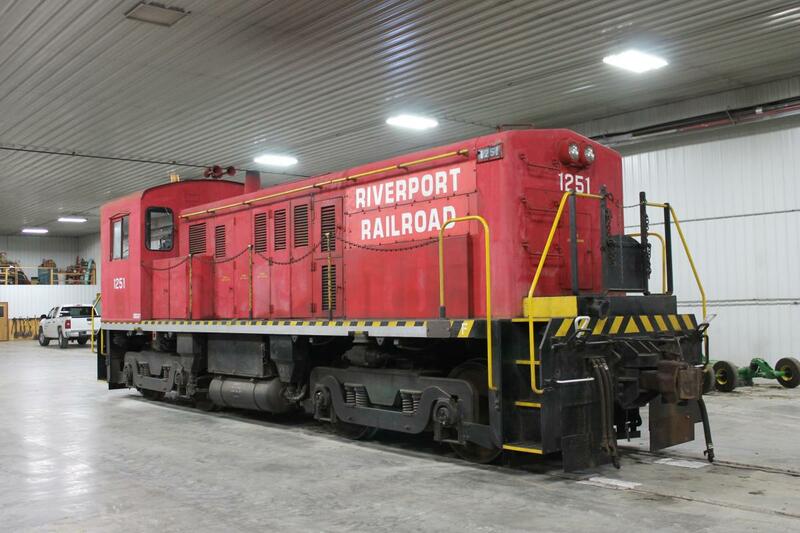 "Riverport RR still have 3 RS4TC units in use"
"Burlington Junction RY 3238 has joined S13 8711 in the Rochelle, Illinois industrial park. 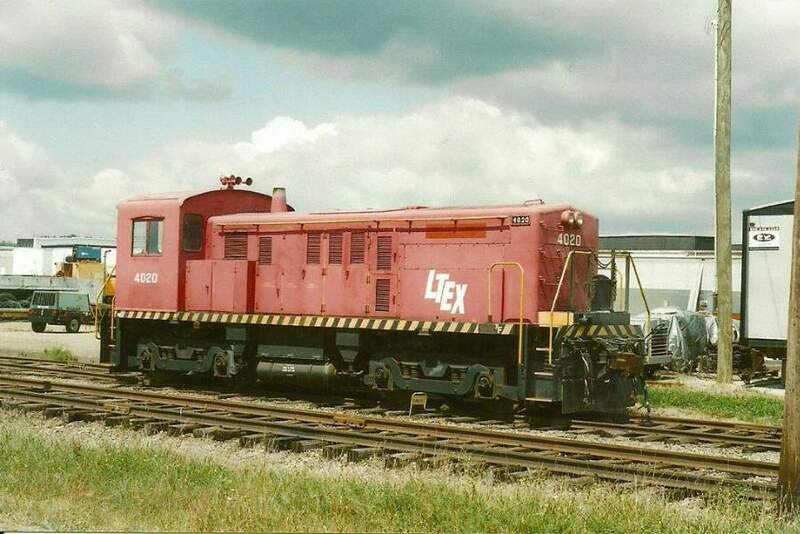 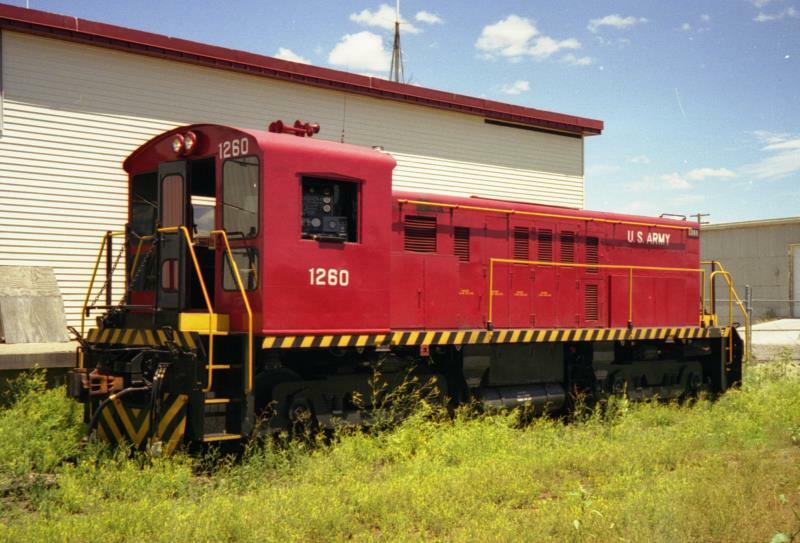 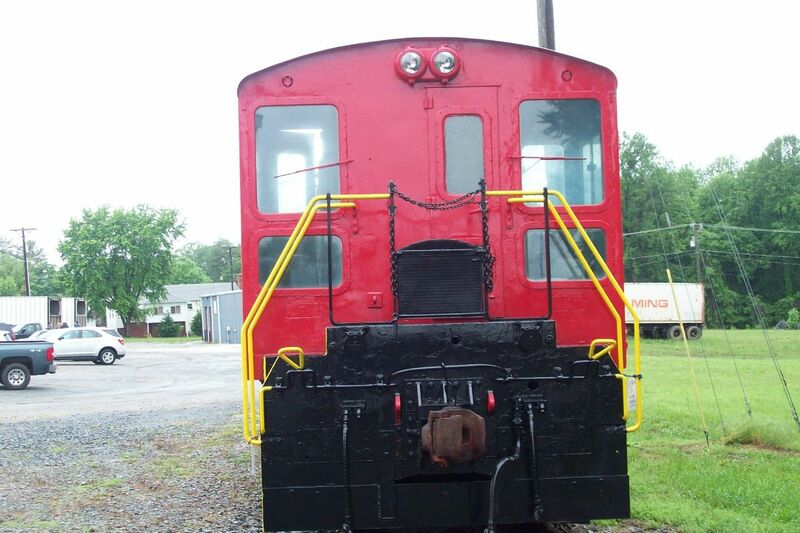 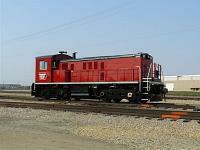 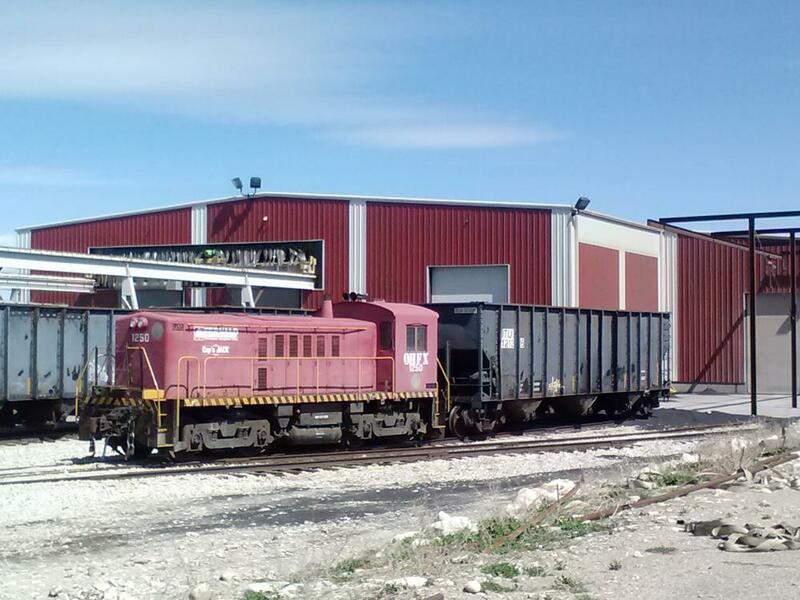 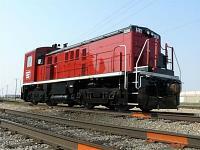 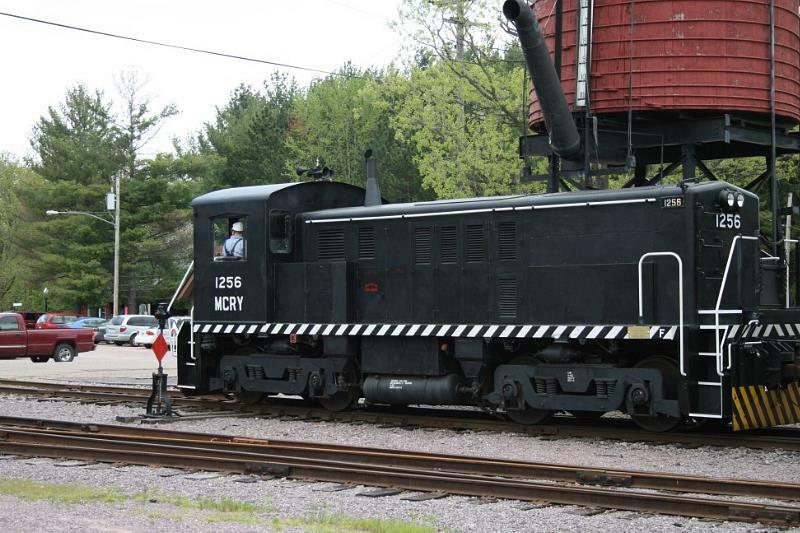 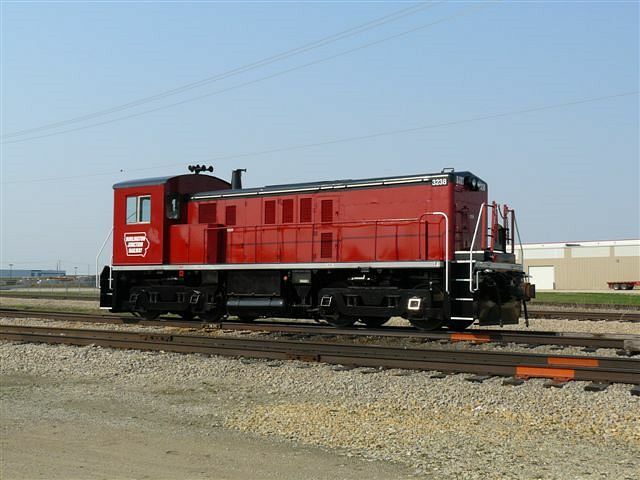 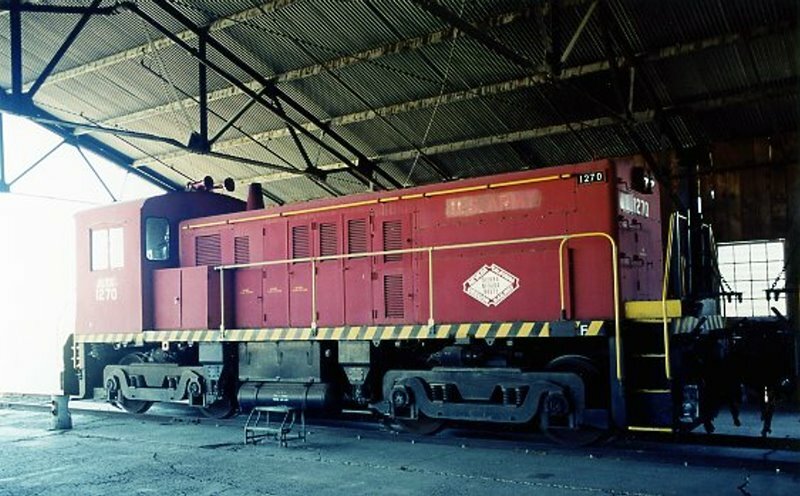 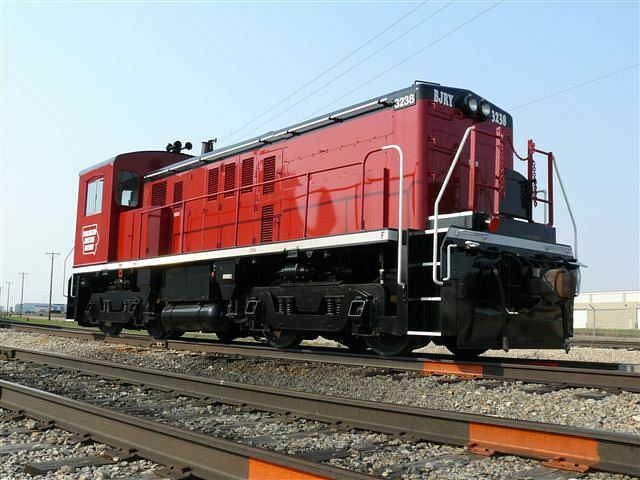 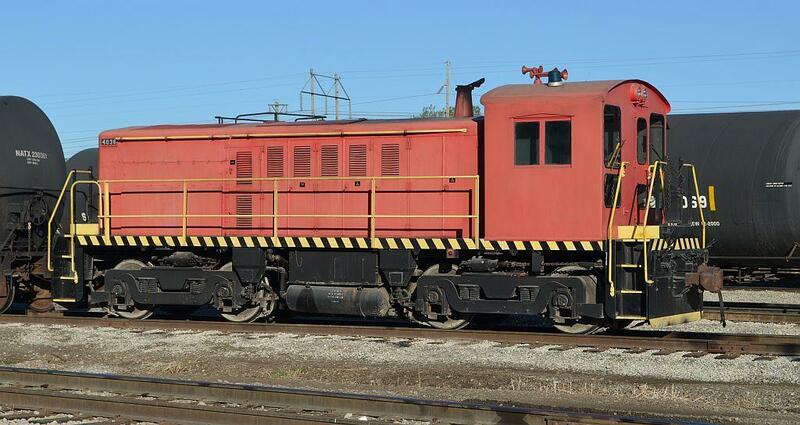 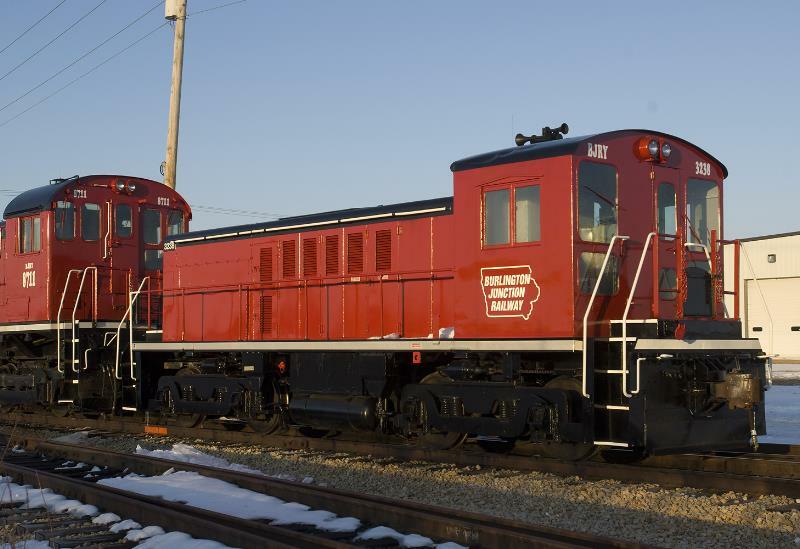 The 3238 is painted in Burlington Junction Railway's sharp red and black paint scheme. 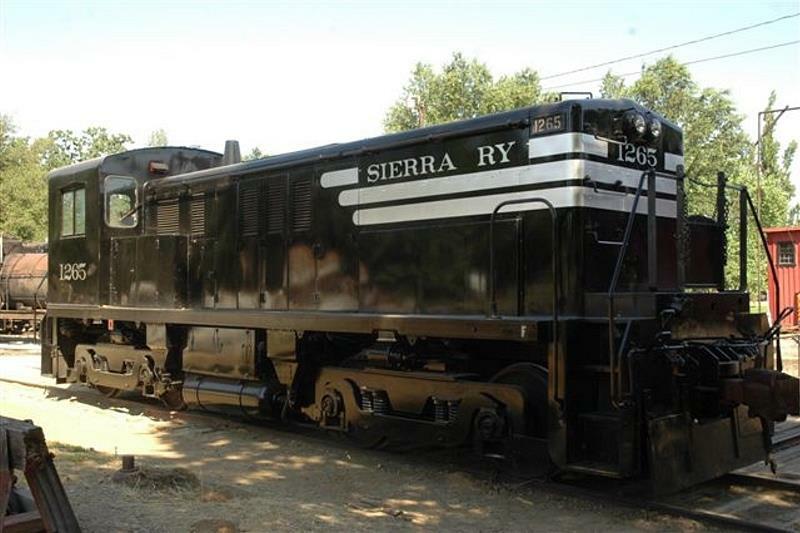 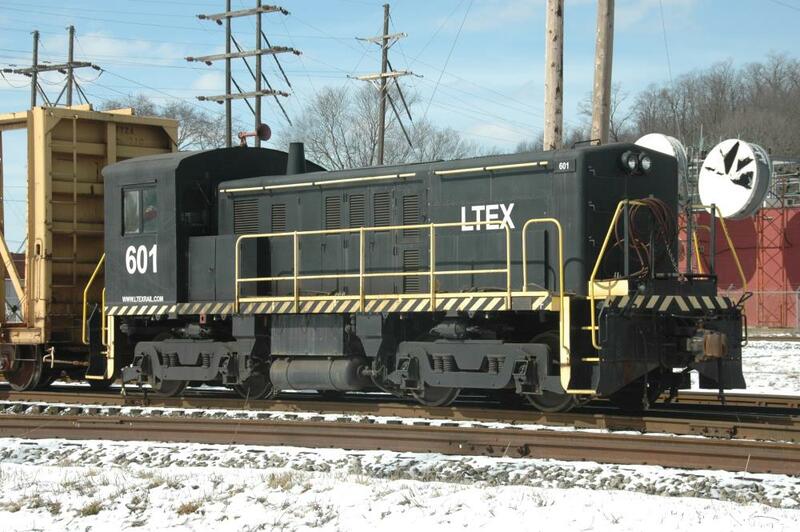 The locomotive is shown on Sunday evening Feb. 14, 2010." 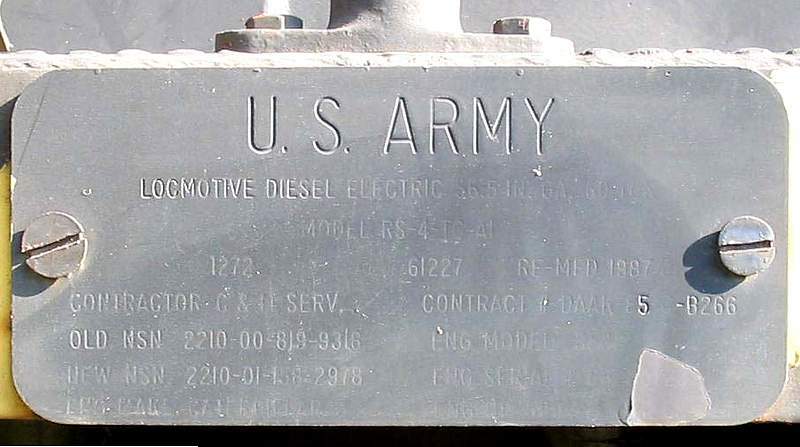 transmission, named the "General Nathaniel Greene"
- Defense Logistic Agency Richmond VA #54344, "The General"
- loaned to Boral Material Technologies and used to ship fly ash products from Boral's facility at Winfield TX. 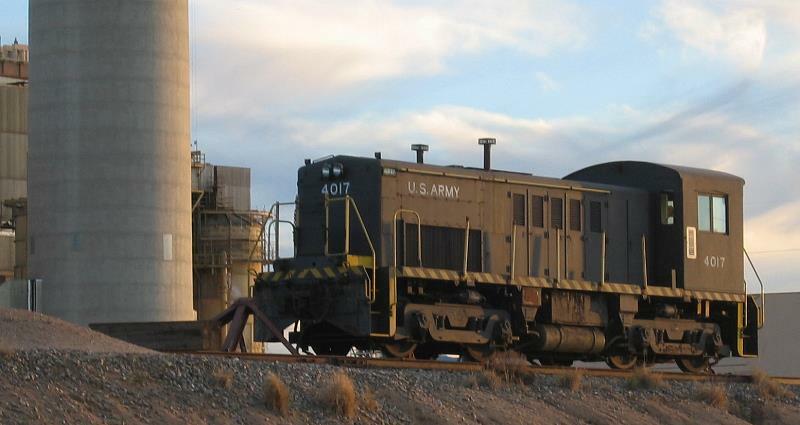 - Navajo Army Depot, Bellemont, AZ. 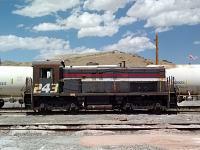 Canon City, Colorado - June 2003 "CRRX 4027 was spotted being moved by truck from Canon City to Mead Co., where it will be stored. 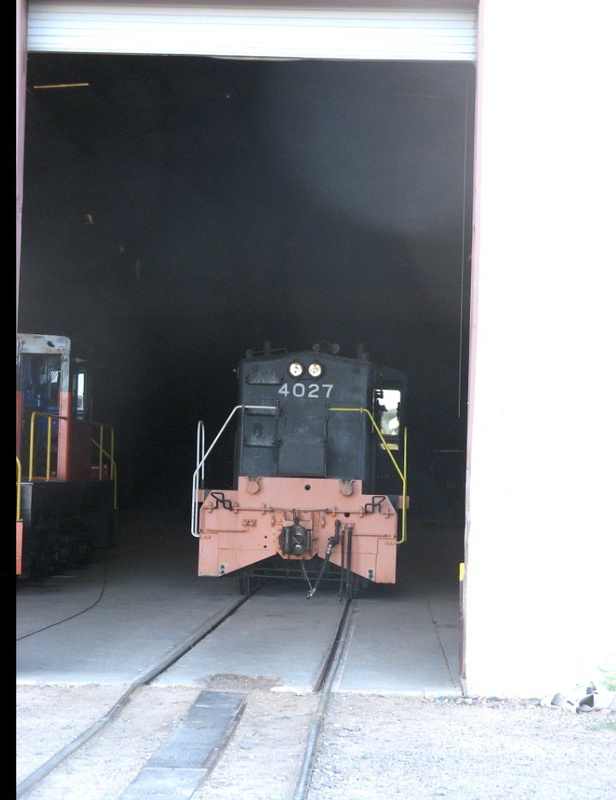 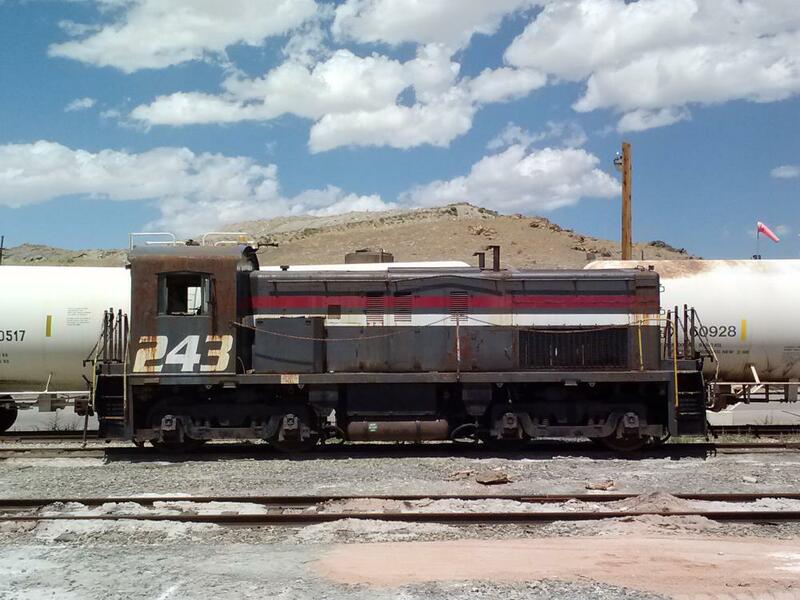 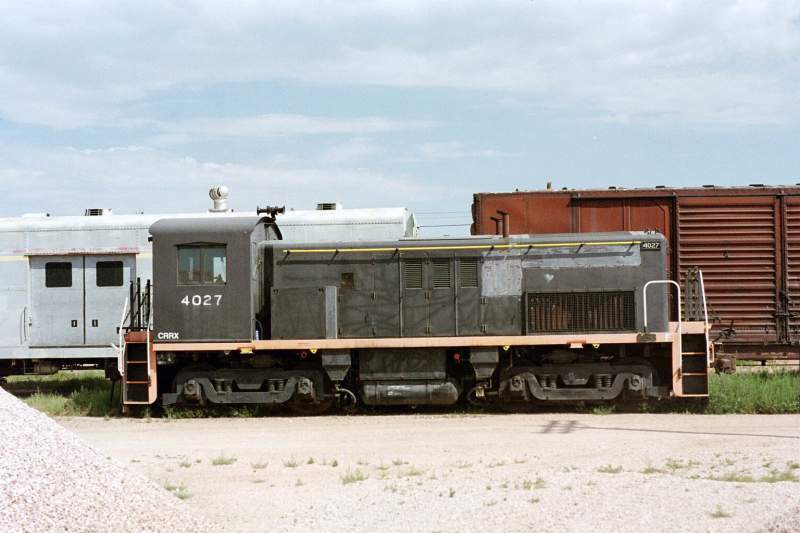 4027 had been used by the Canon City & Royal Gorge as a shop switcher but has not run since late 2002." 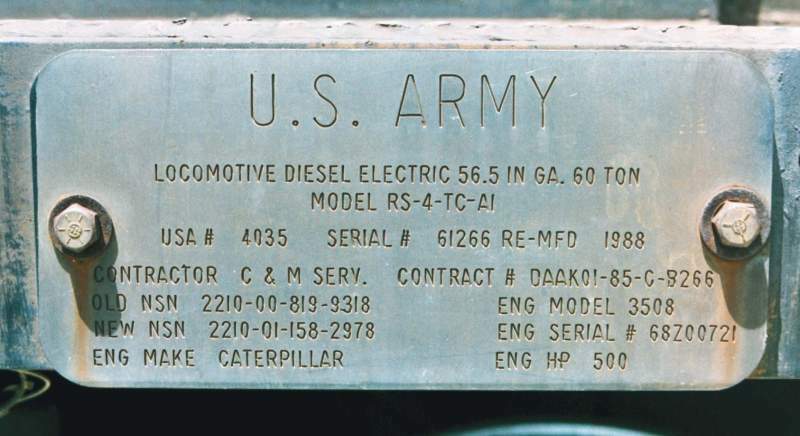 Thanks to "The CZ" for this info. 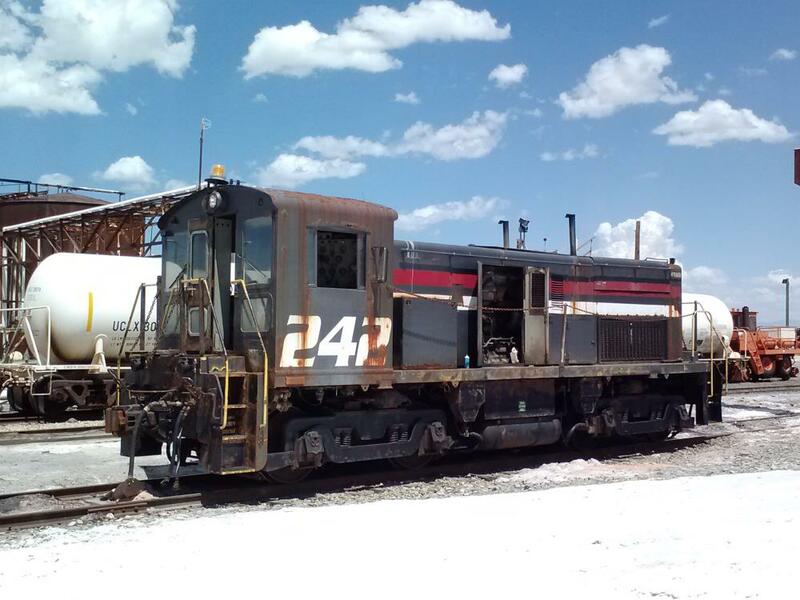 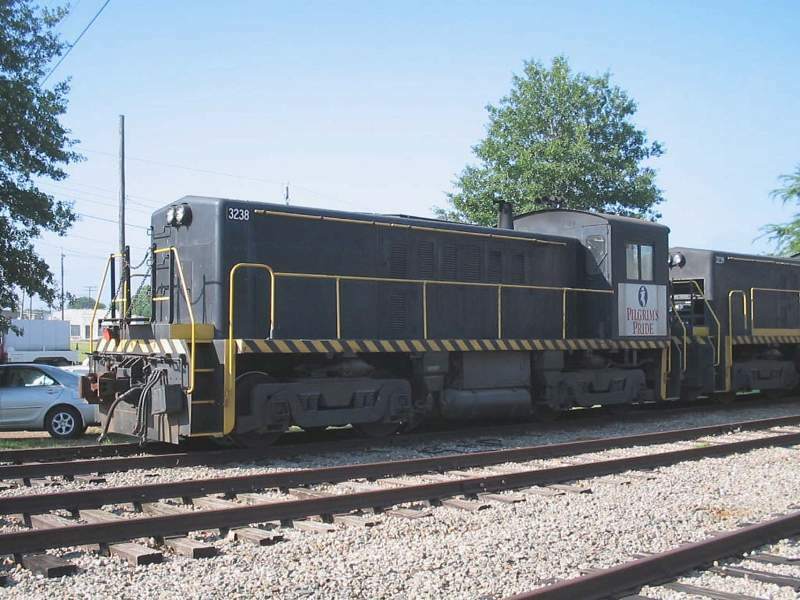 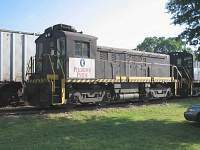 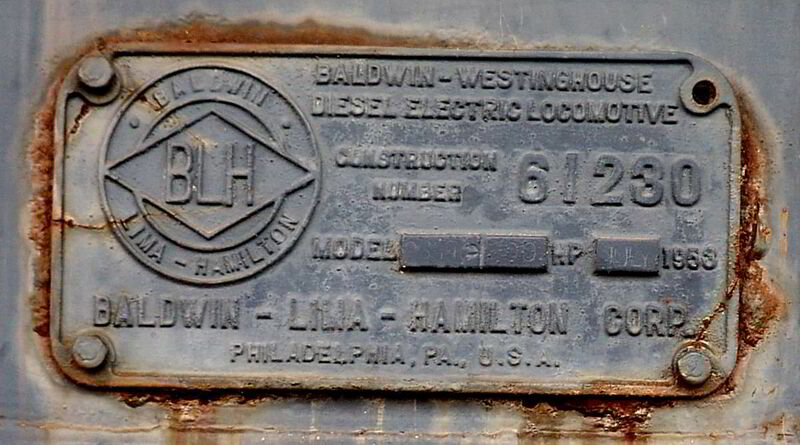 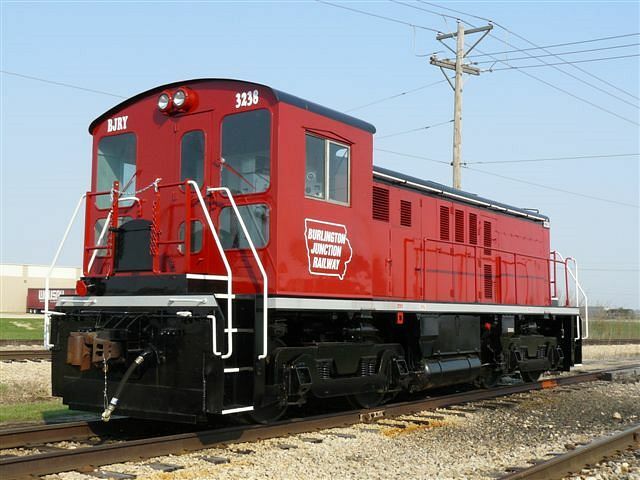 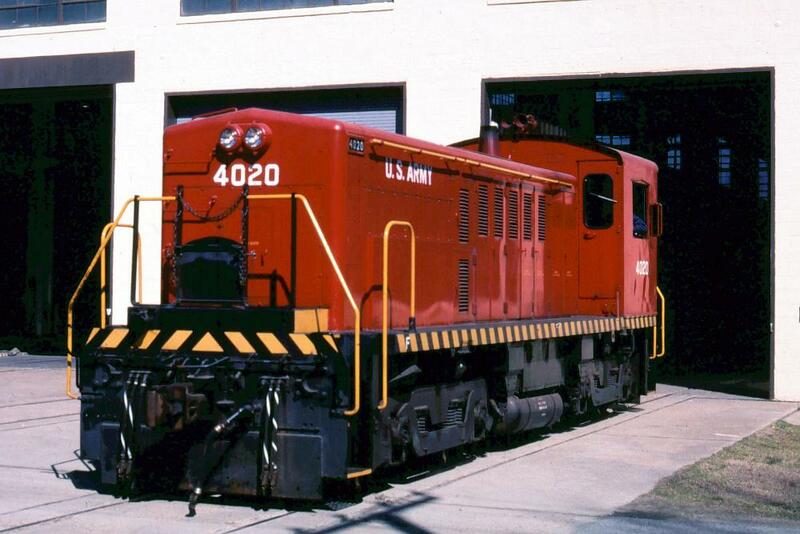 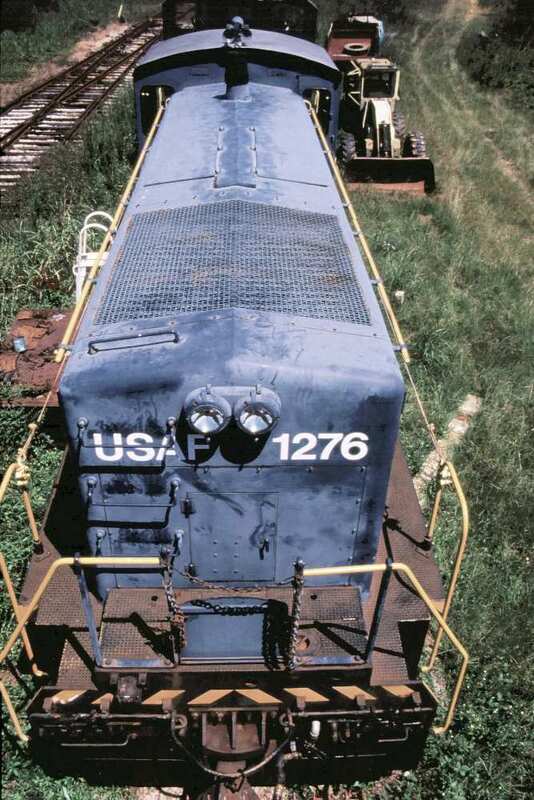 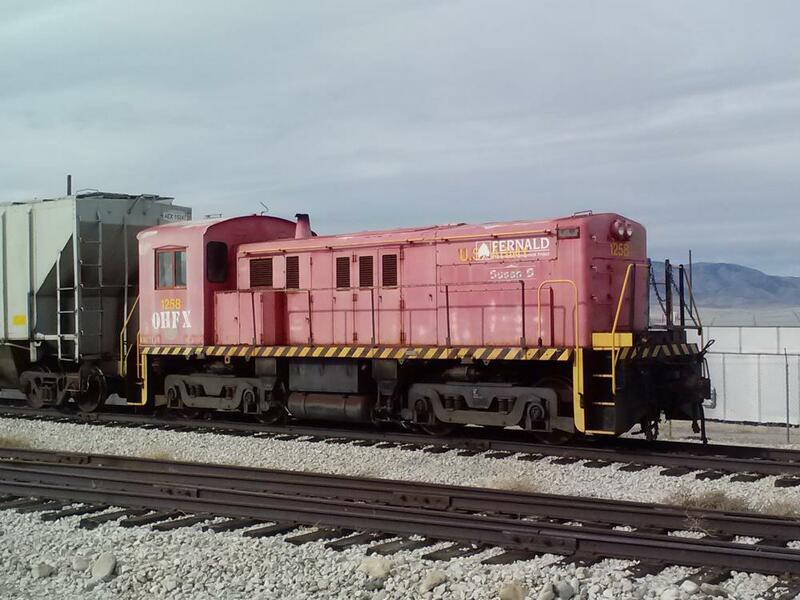 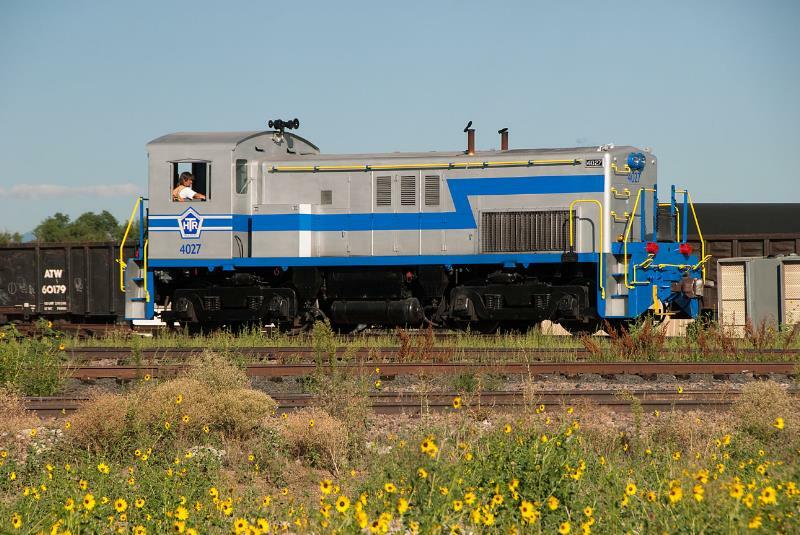 "4027 is now on Hudson Terminal RR (HTR) Hudson, Co., (Old RESCAR Facility) Engine not running, troubles with Baldwin relays and lack of replacement parts." 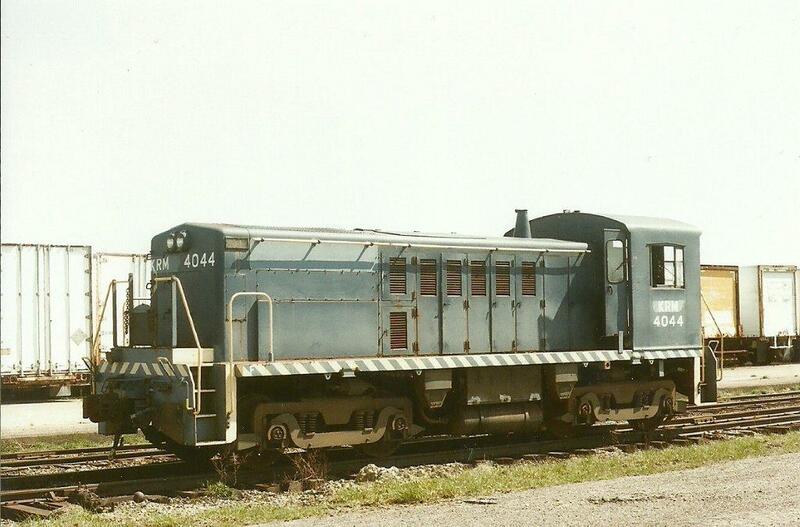 4035 was re-built in 1988 and the variable width axles were replaced. 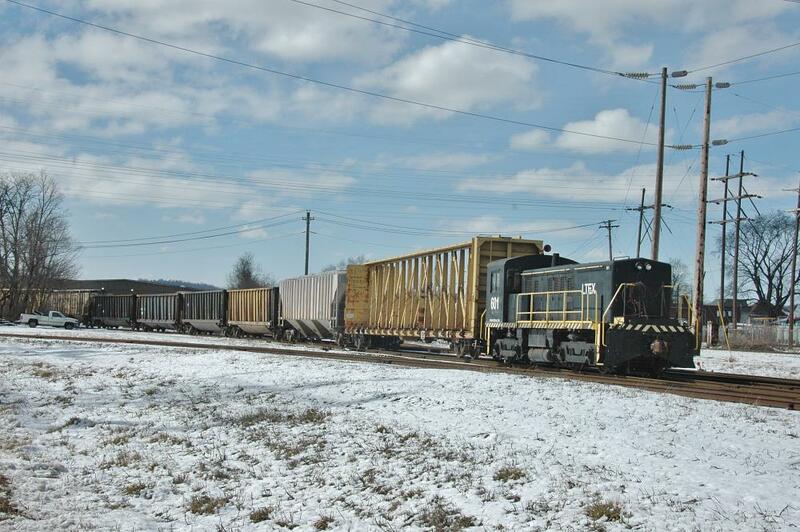 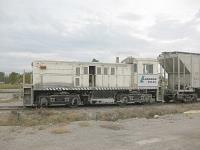 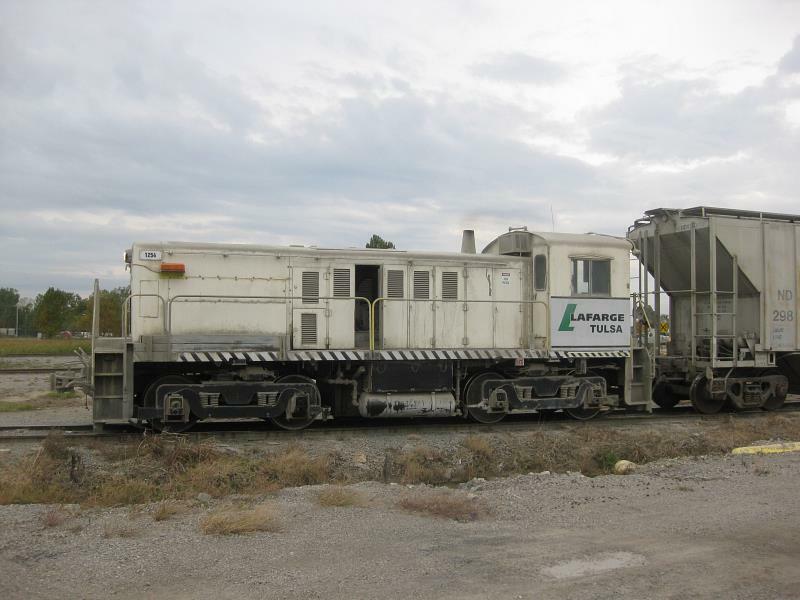 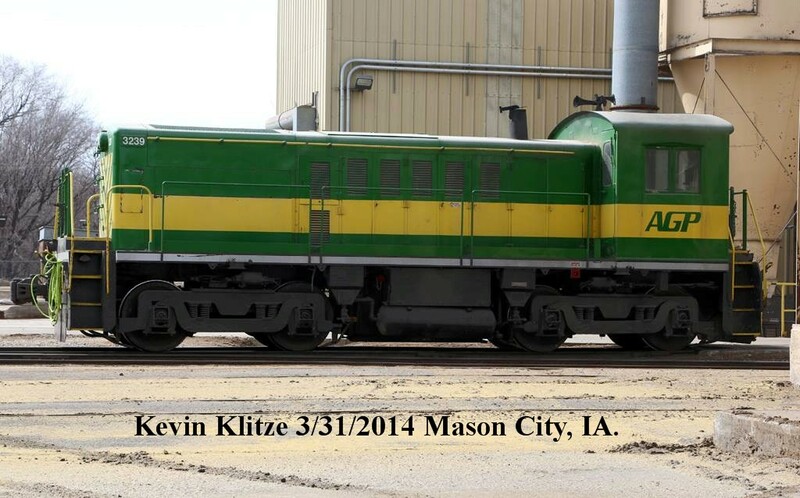 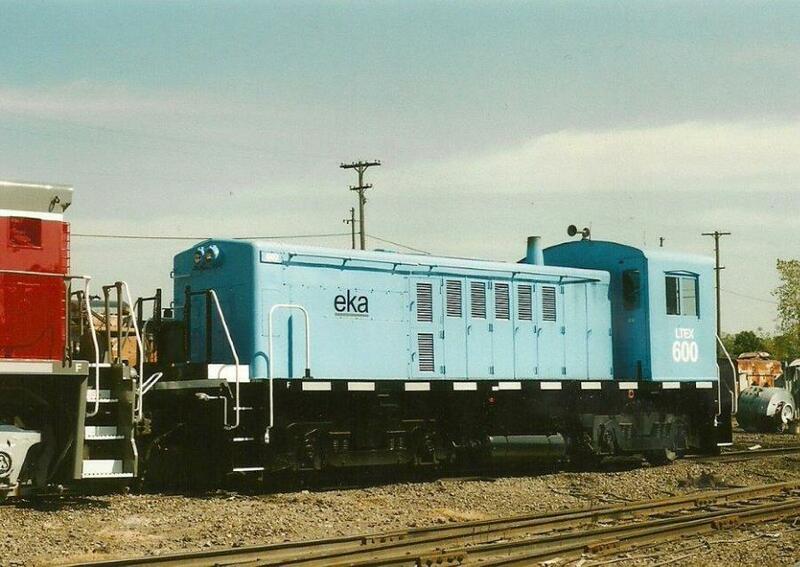 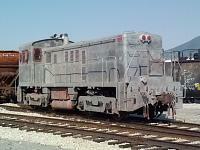 At the same time it was refitted with EMD control system and generator. 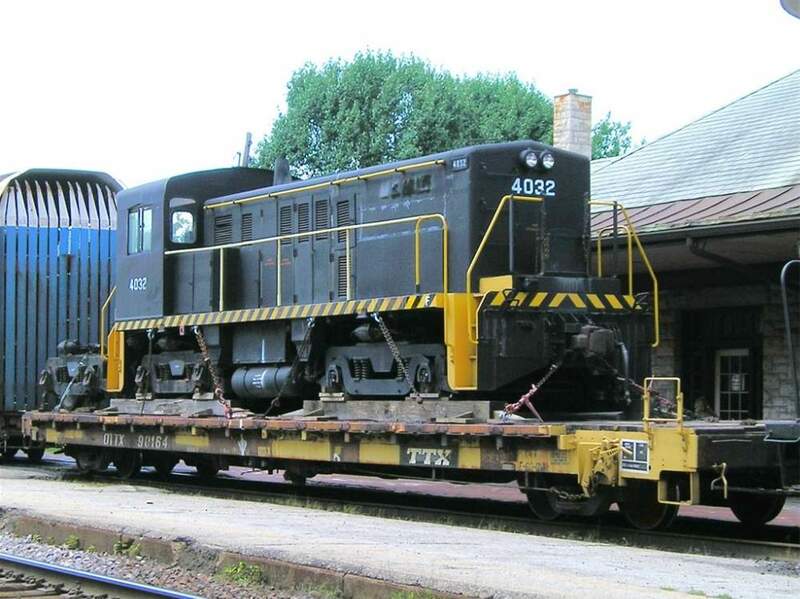 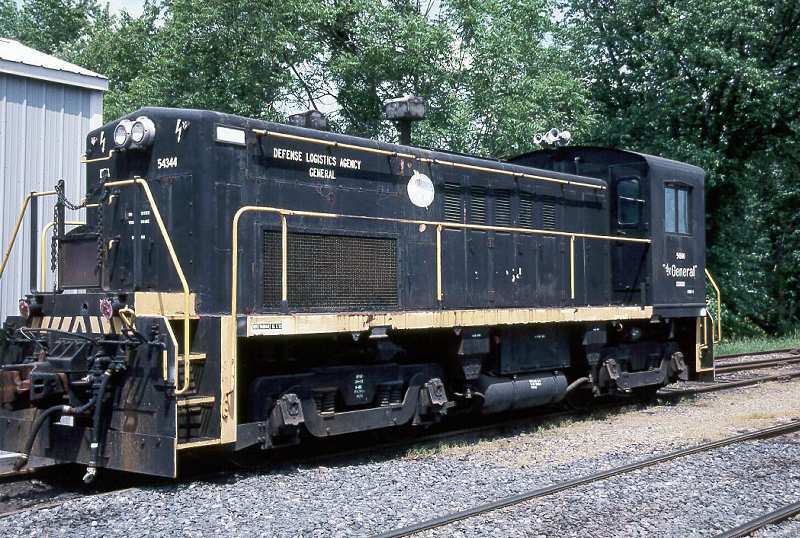 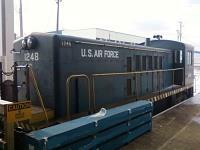 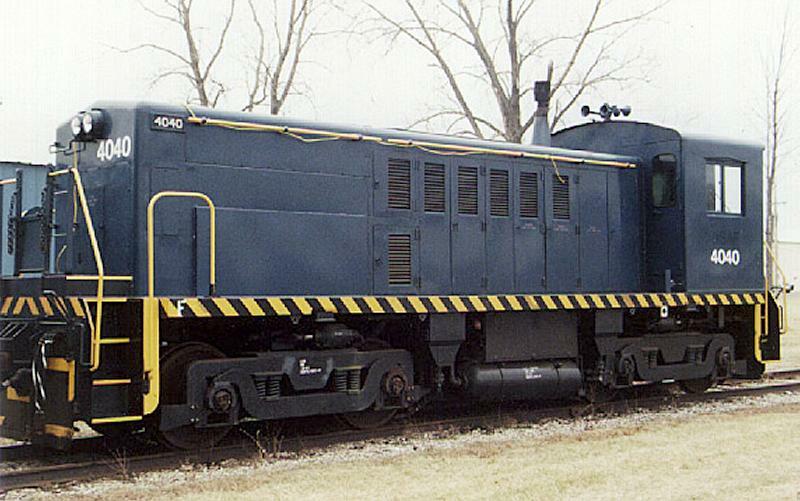 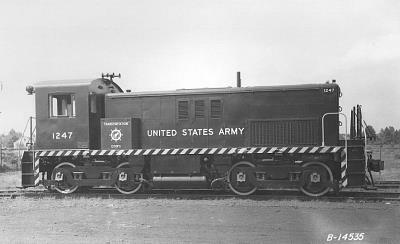 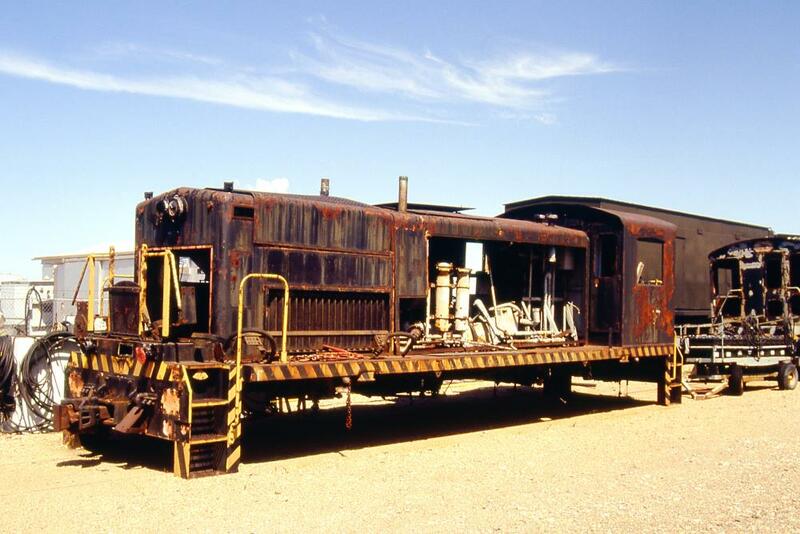 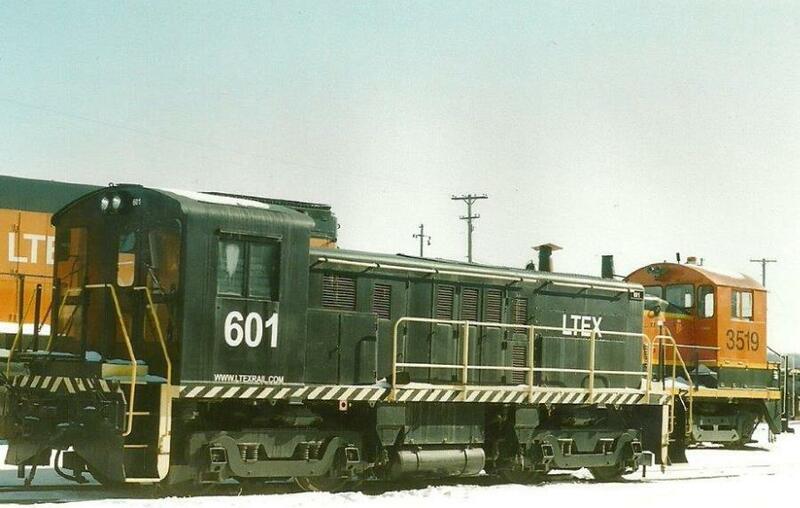 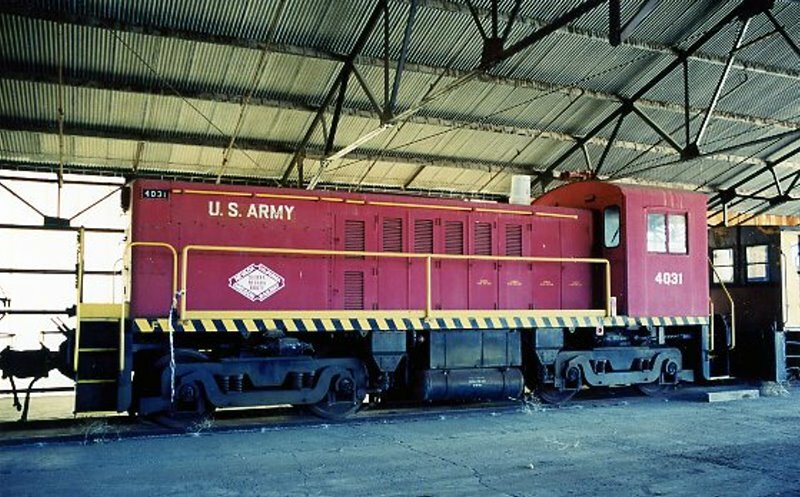 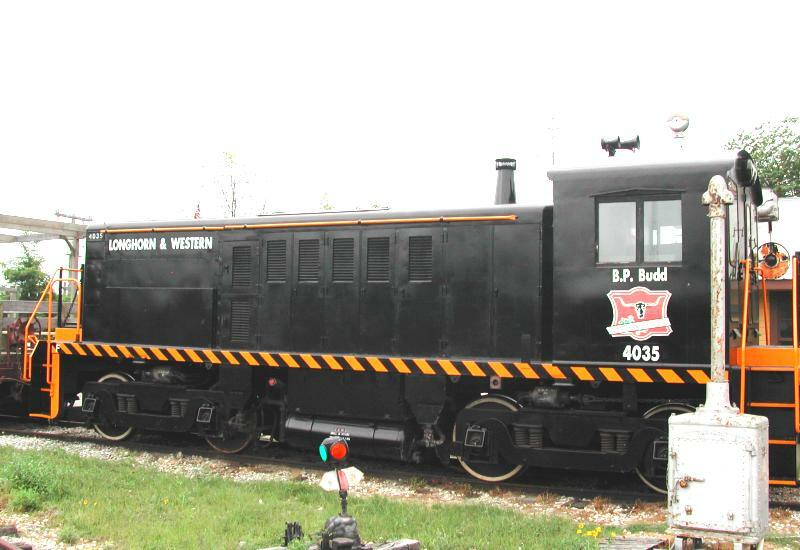 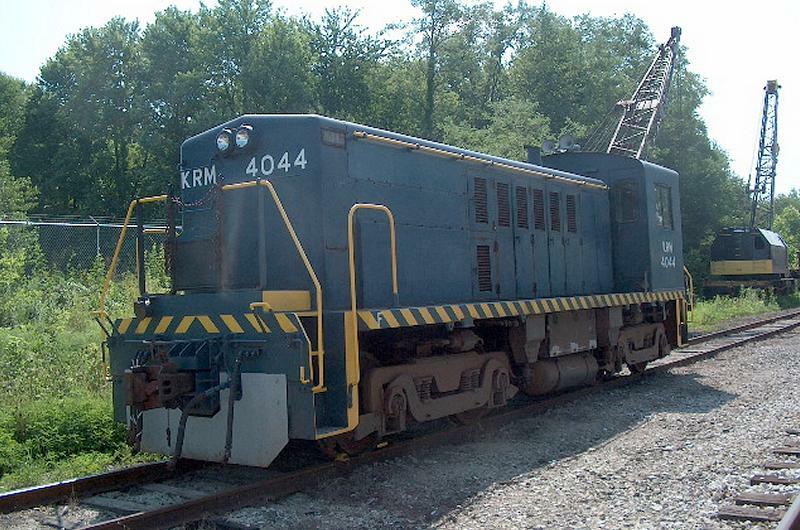 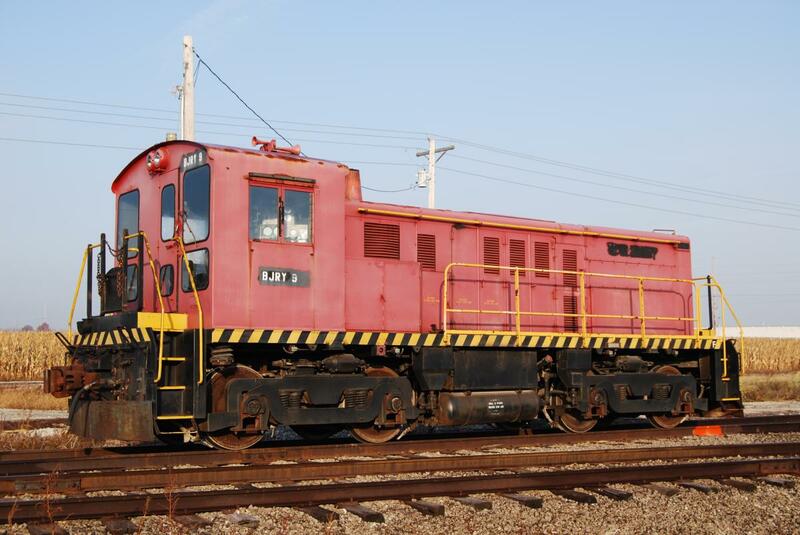 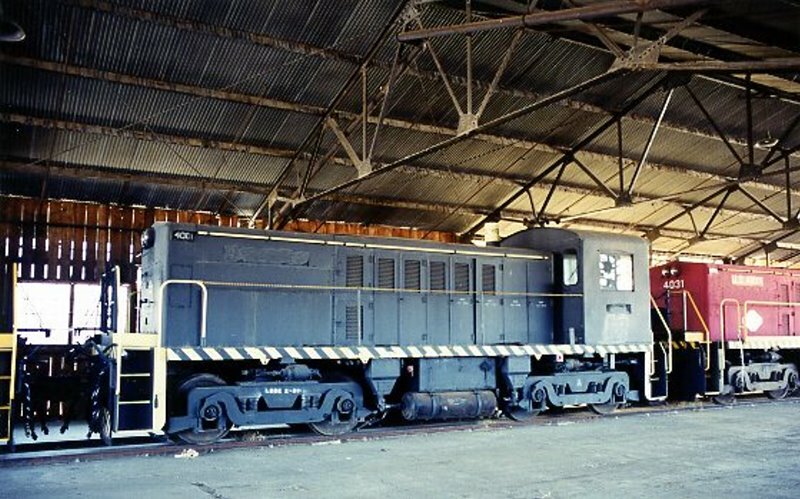 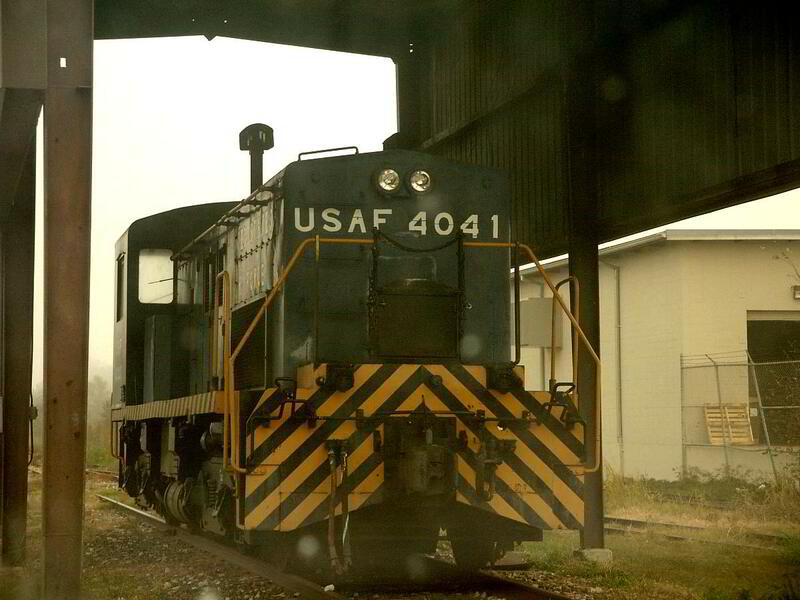 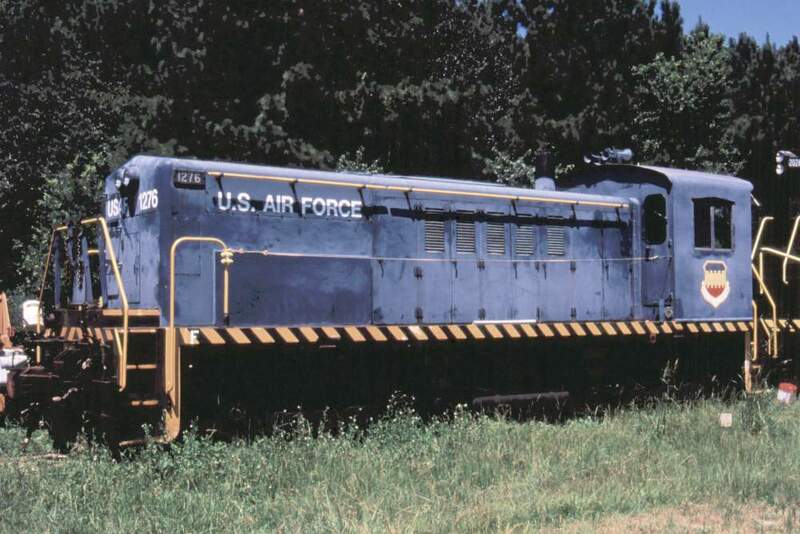 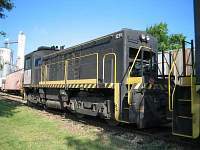 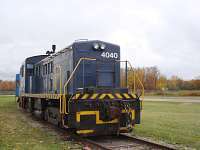 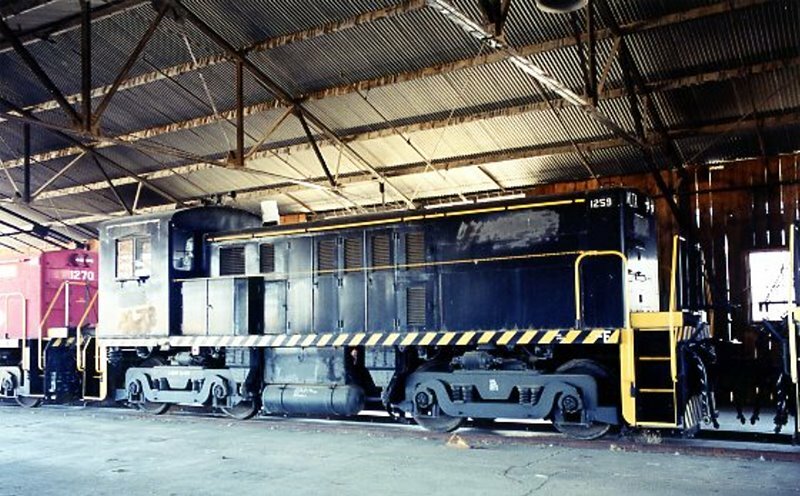 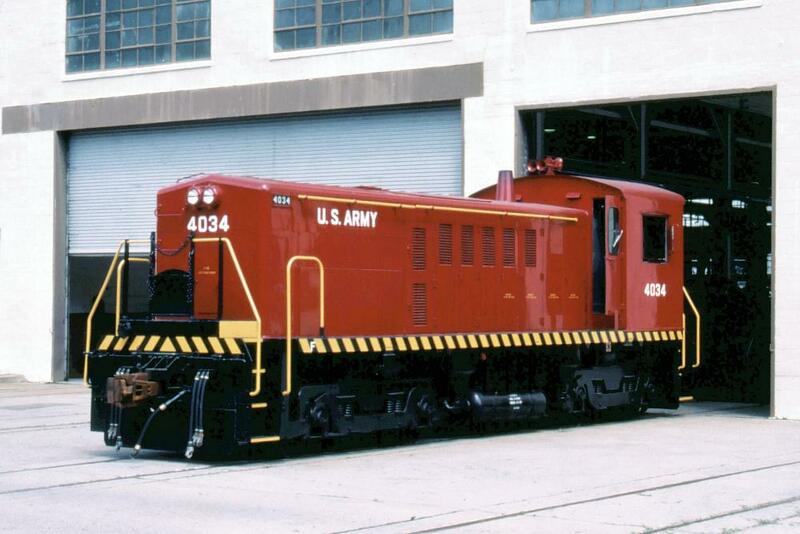 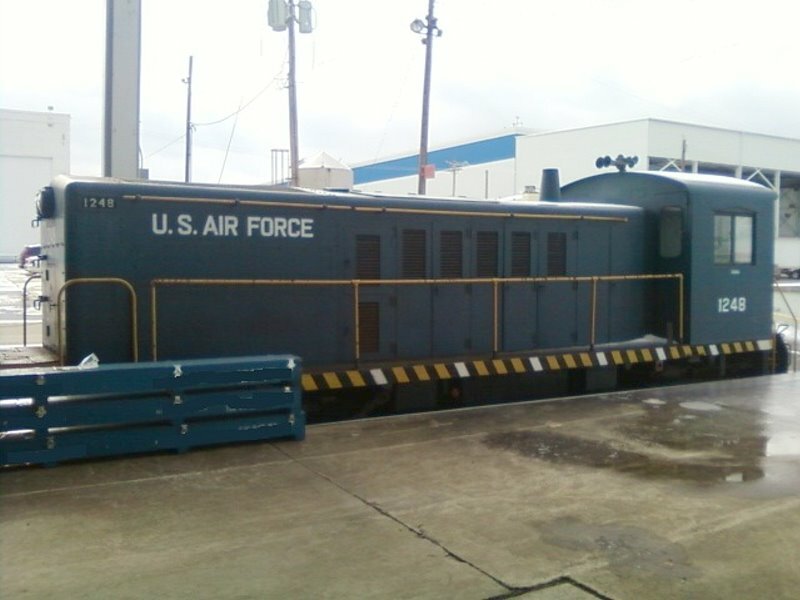 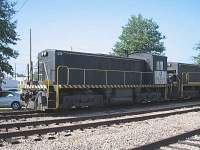 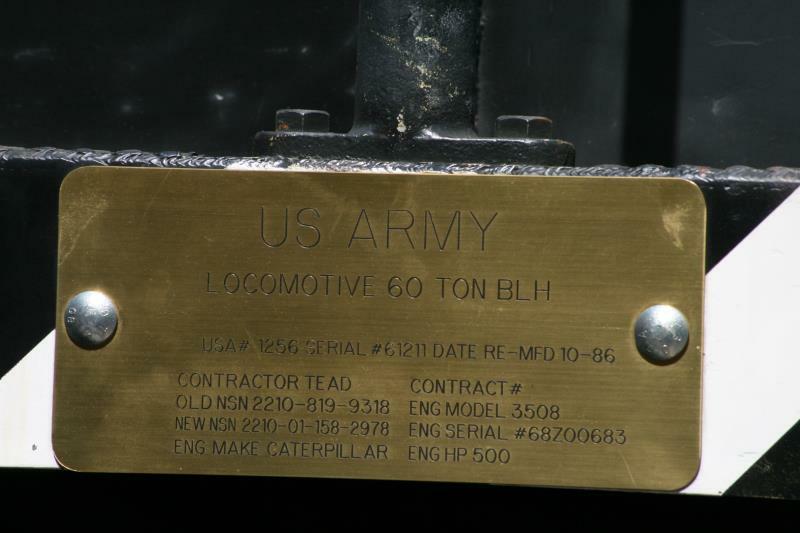 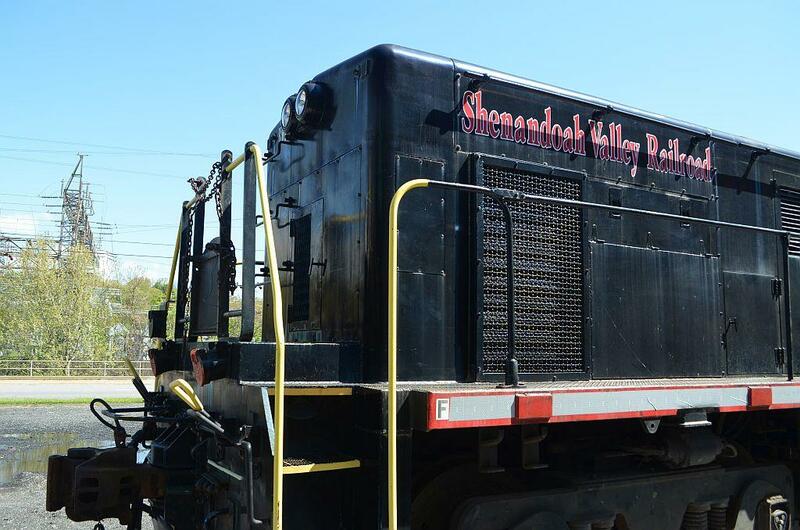 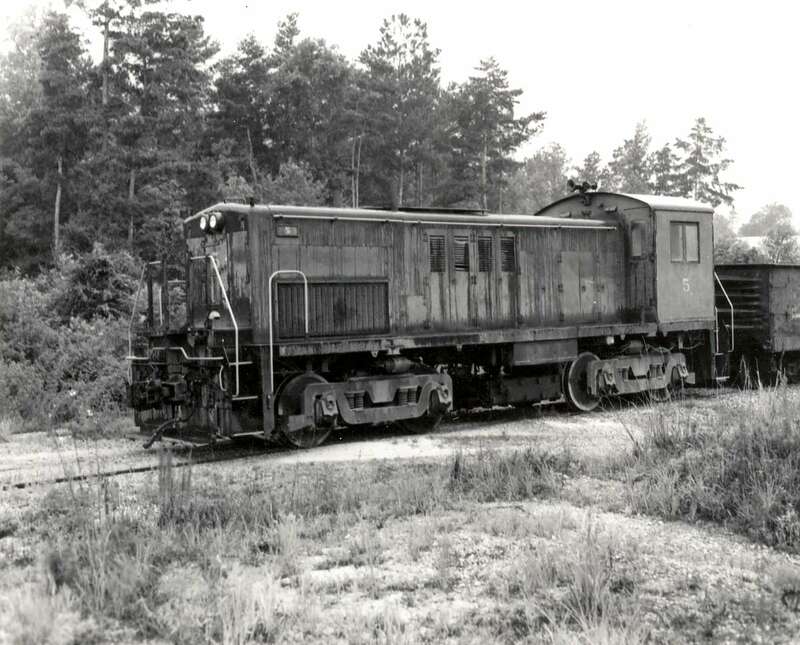 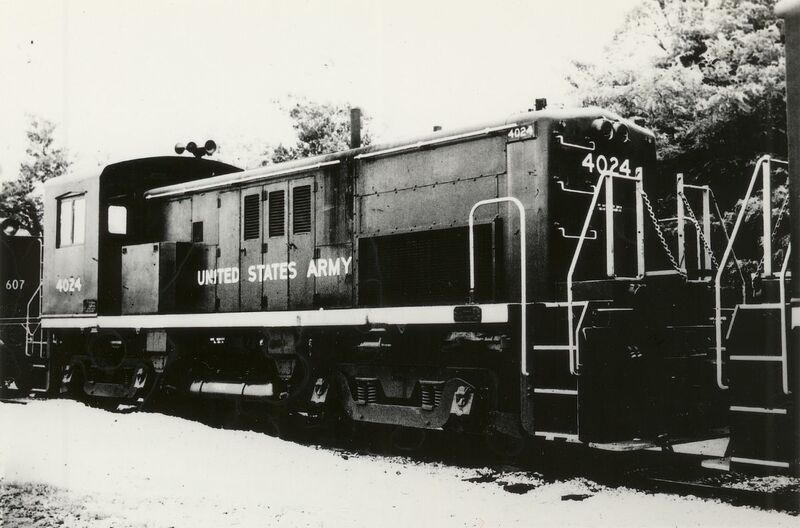 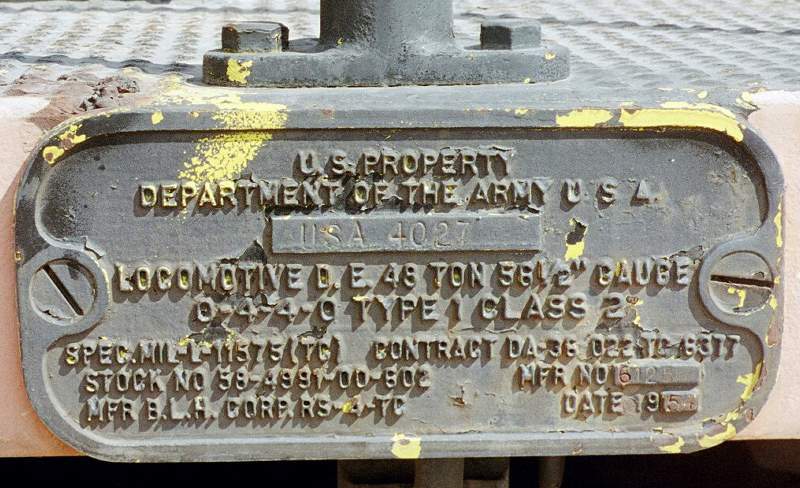 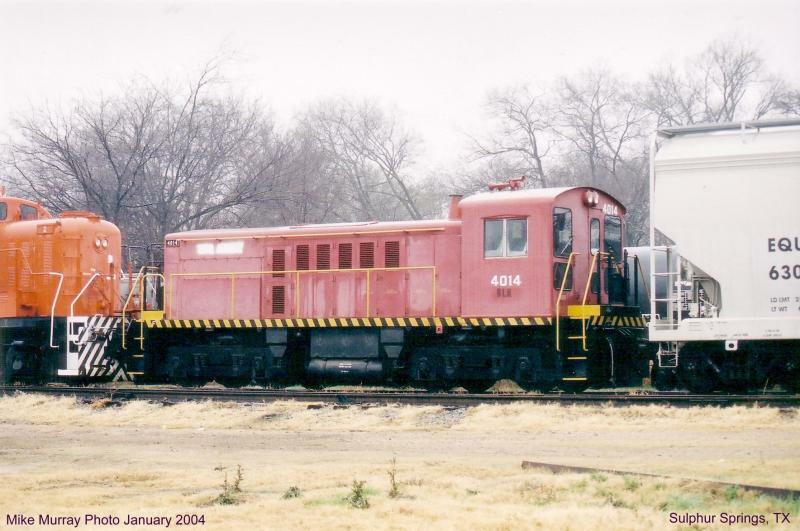 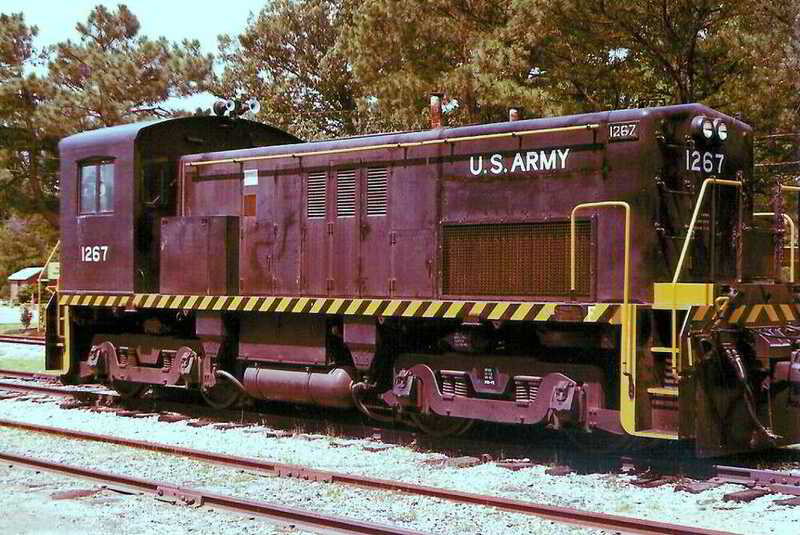 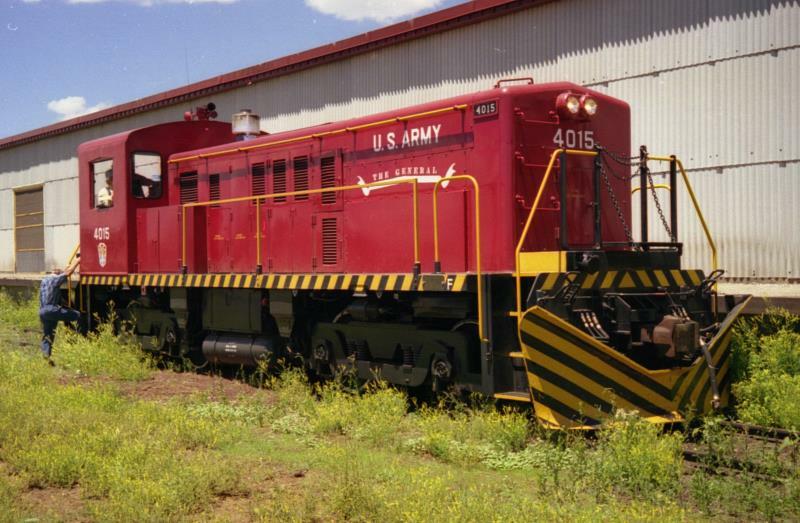 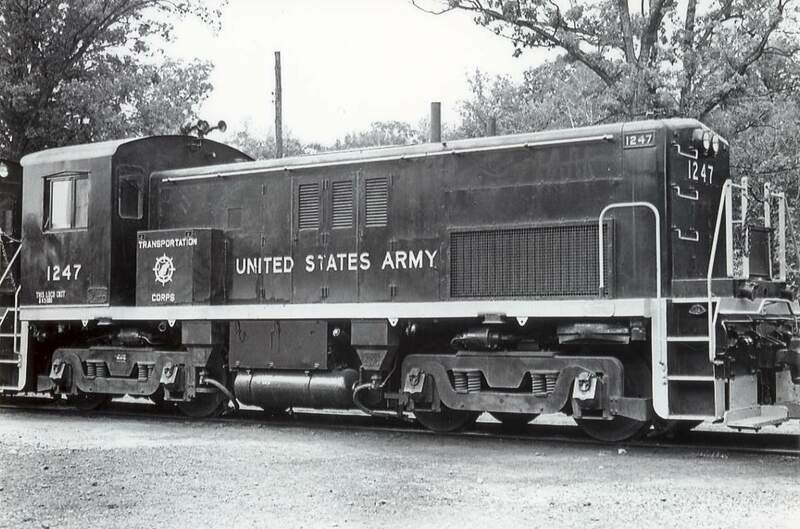 The 4040 was used at the Selfridge Air National Guard Base to move freight and coal cars, as the base was originally heated by coal. 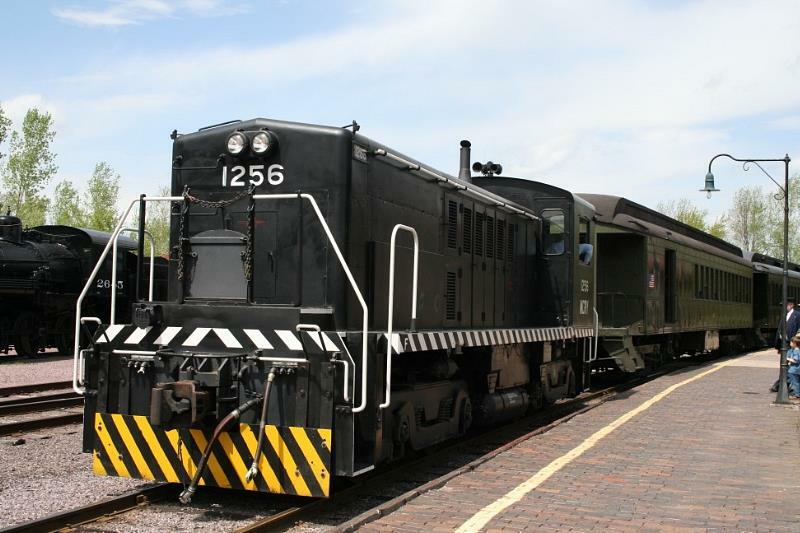 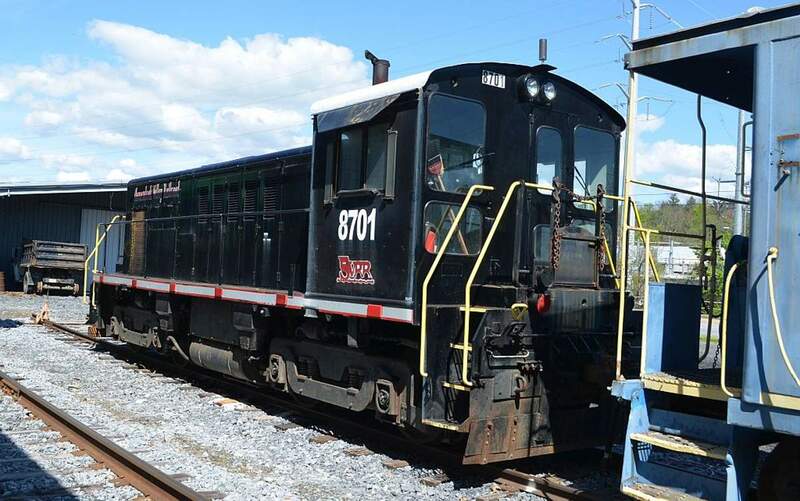 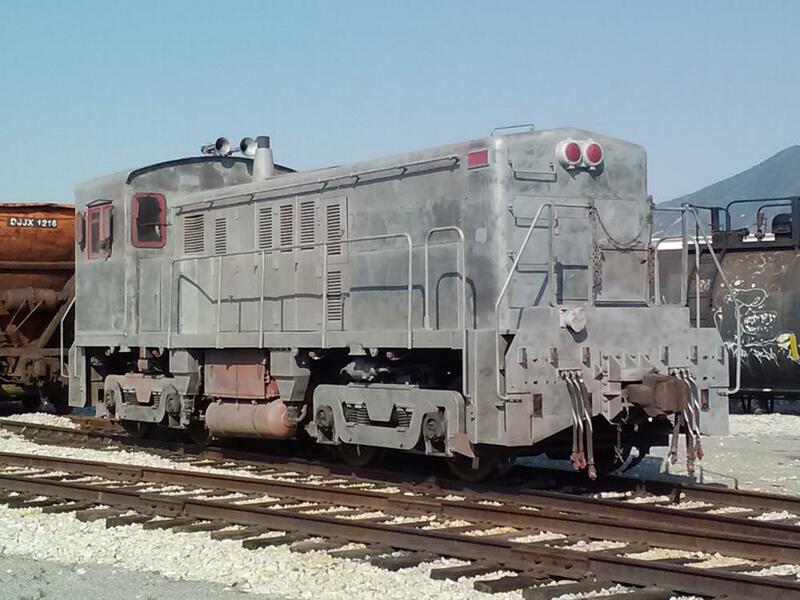 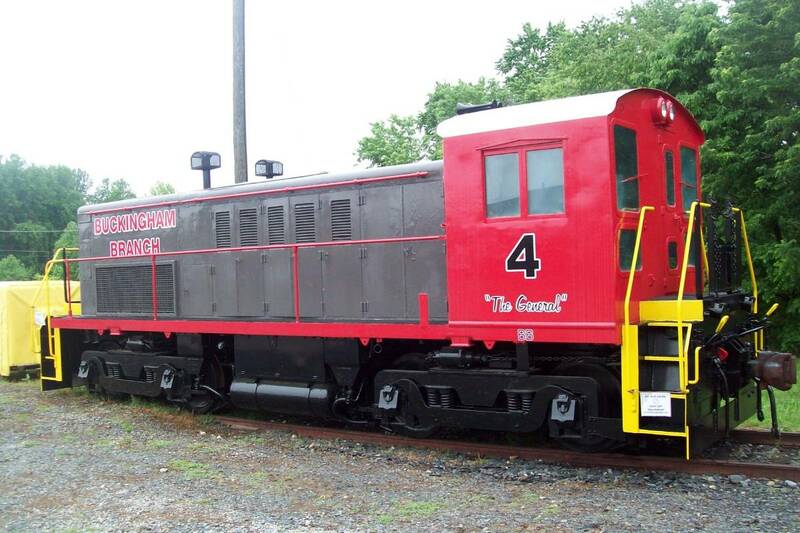 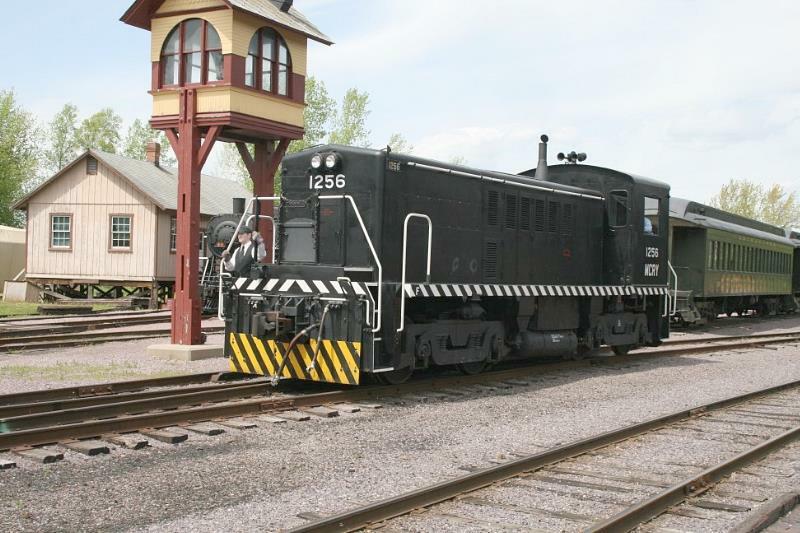 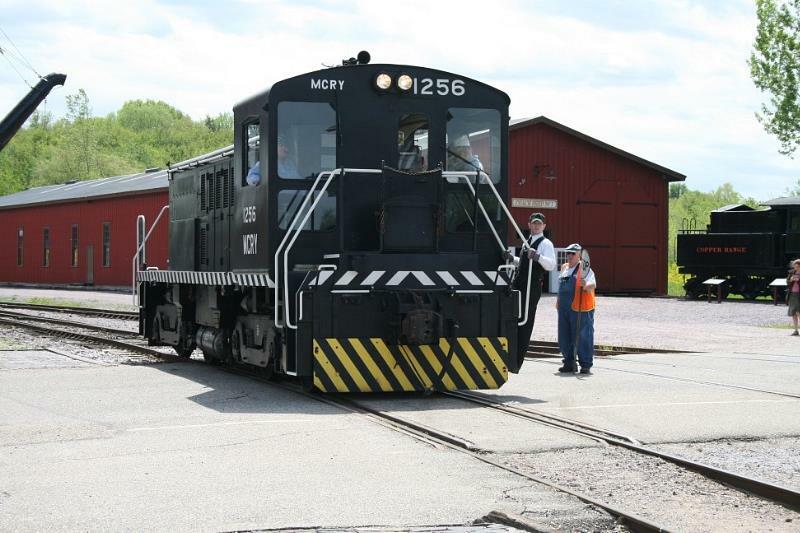 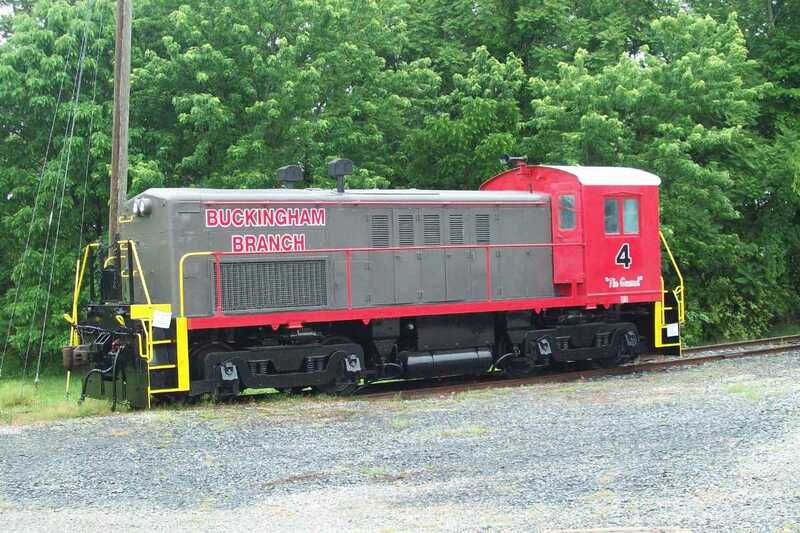 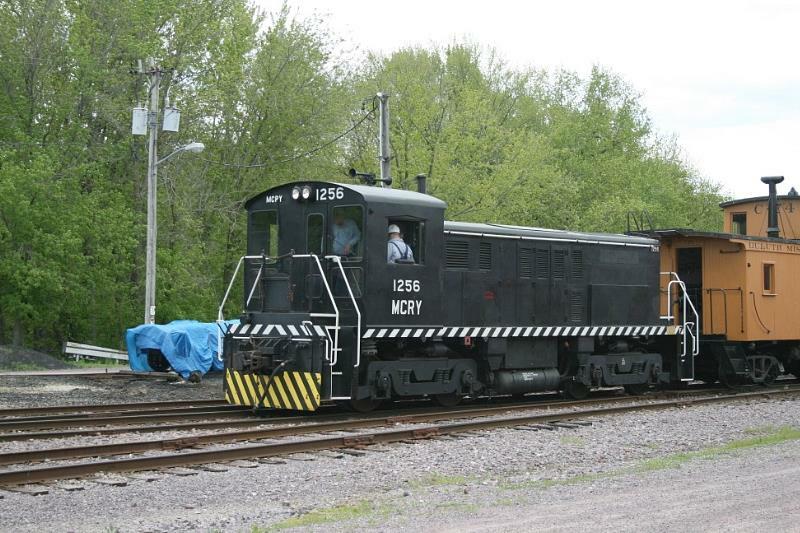 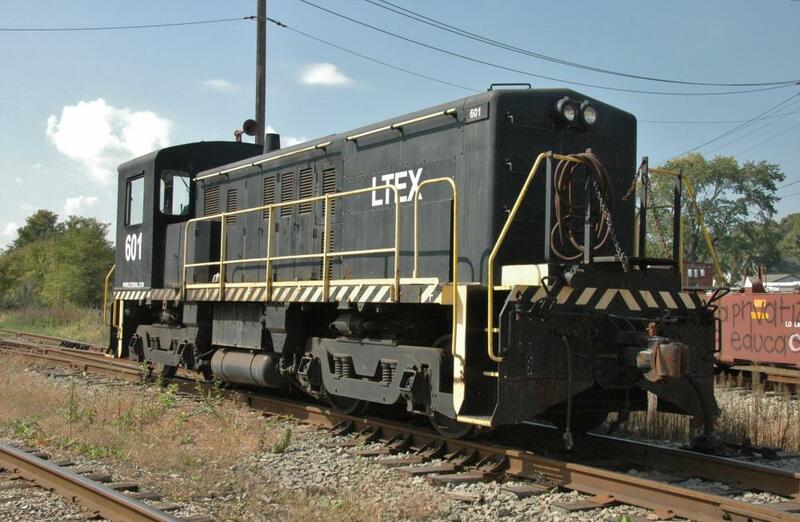 The Michigan Transit Museum operates its train on track located on the base. 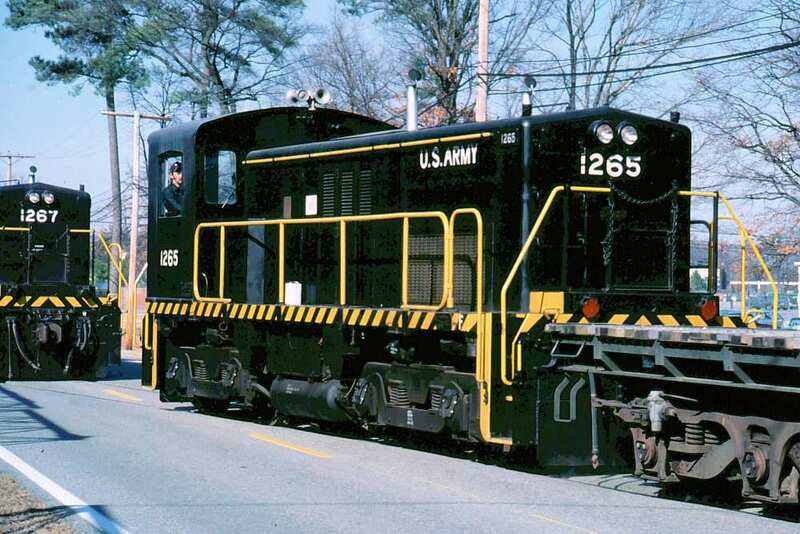 - Defense Logistic Agency, Richmond VA #54345, "The Admiral"
1281 40754 * - named the "General Nathanael Greene"
- Special thanks to Rick Morgan for help with roster info. 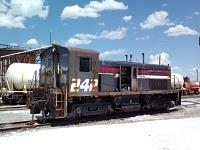 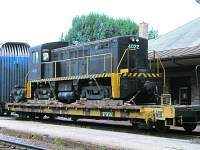 4032 61262 National Railway Equipment Co.